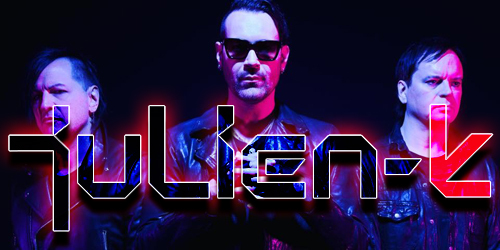 It can truly be said that Julien-K is one of this generation’s great success stories. 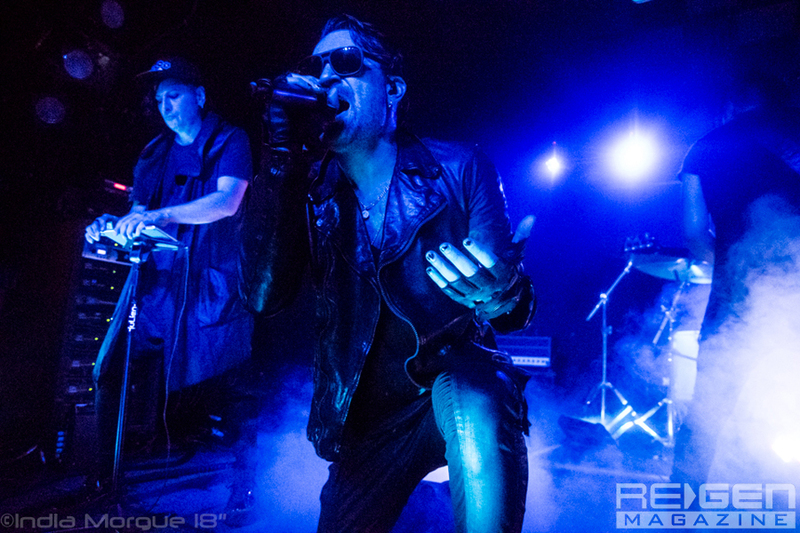 Blending electronic, alternative rock, and pop stylings into a musical sound that is as classic as it is modern, the band continues to showcase an ever evolving visual aesthetic that recalls the fashion forward attitudes of Duran Duran and Depeche Mode. 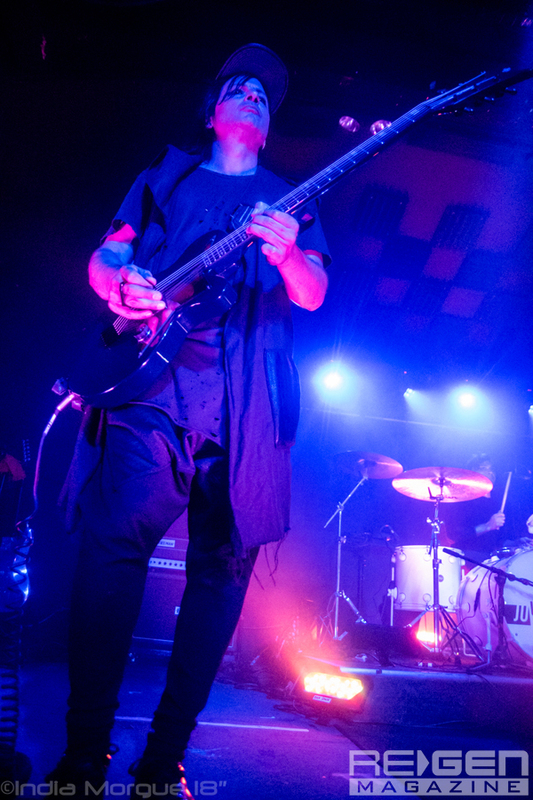 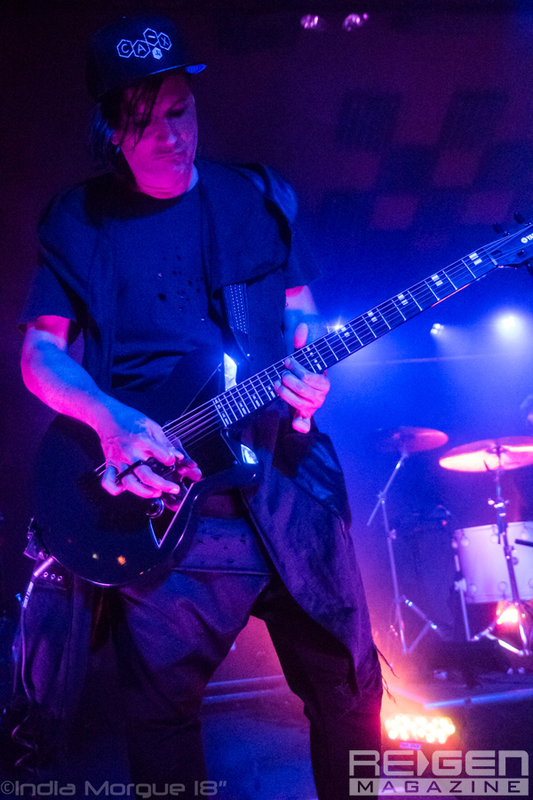 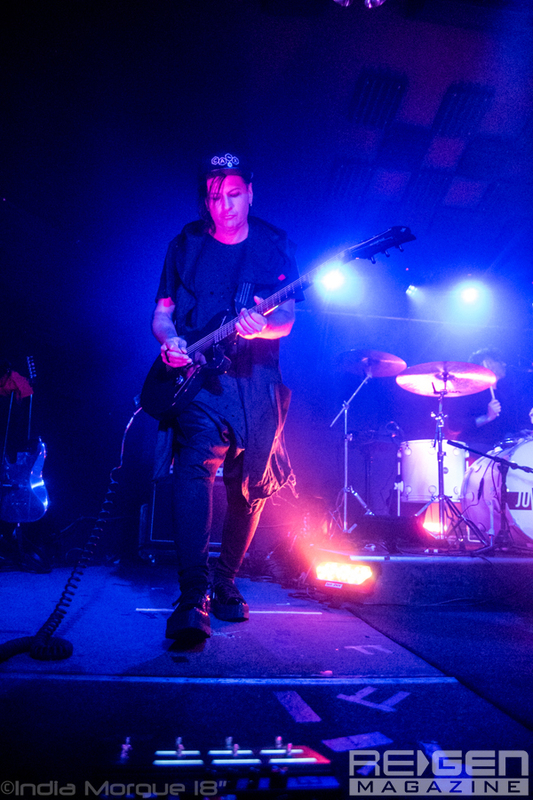 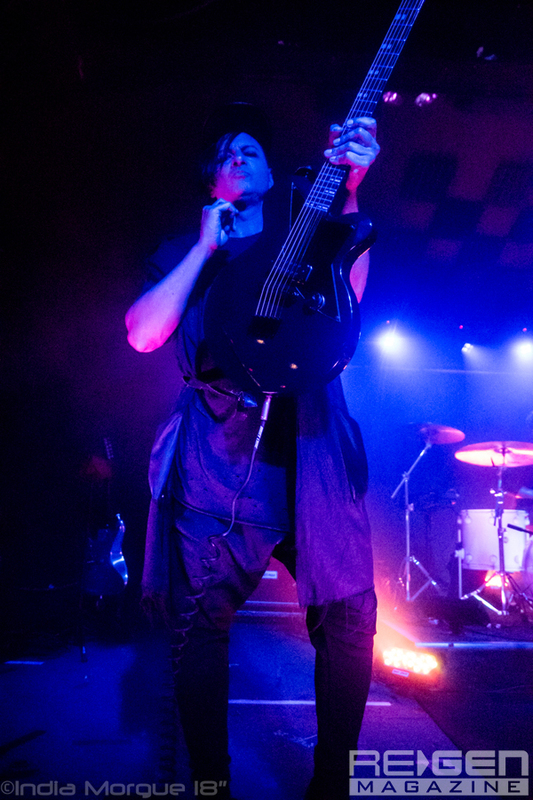 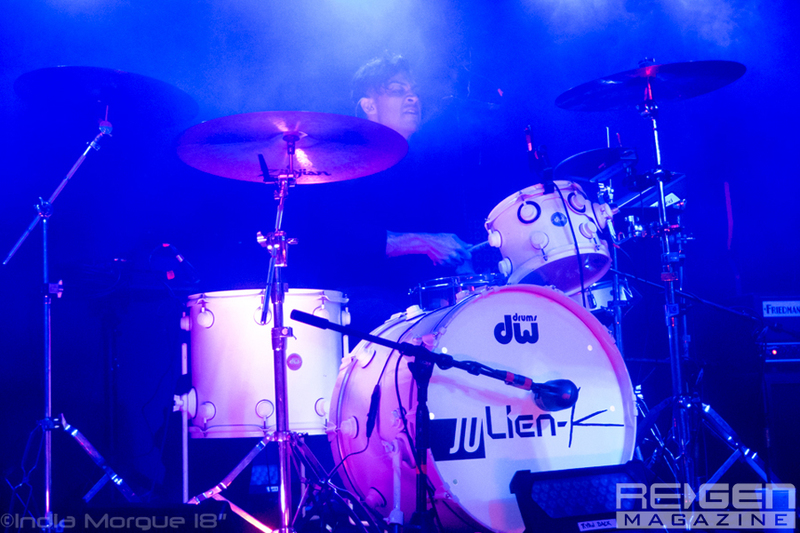 Through numerous crowdfunding campaigns, the Julien-K fanbase has proven to be one of the most loyal and supportive in today’s music scene, and the band certainly knows how to repay in kind. 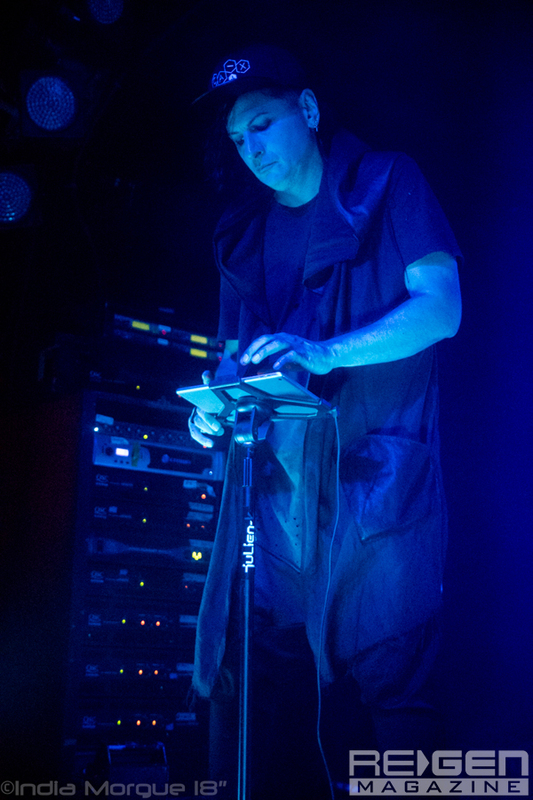 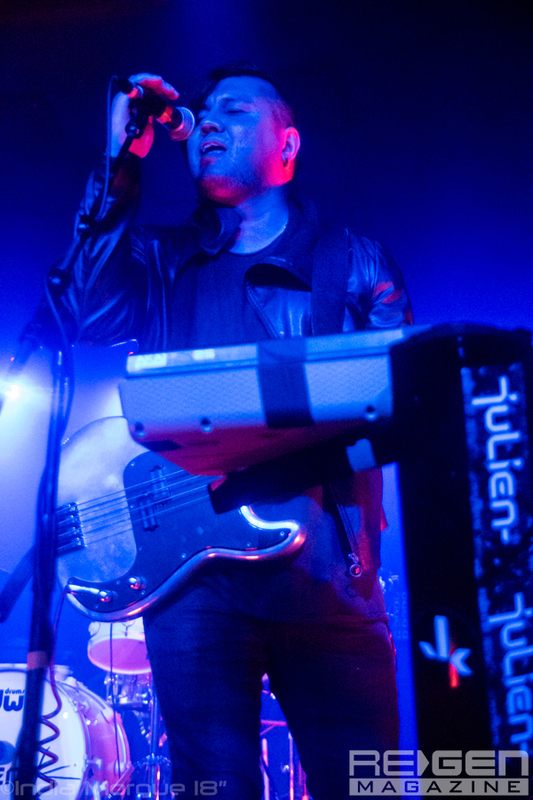 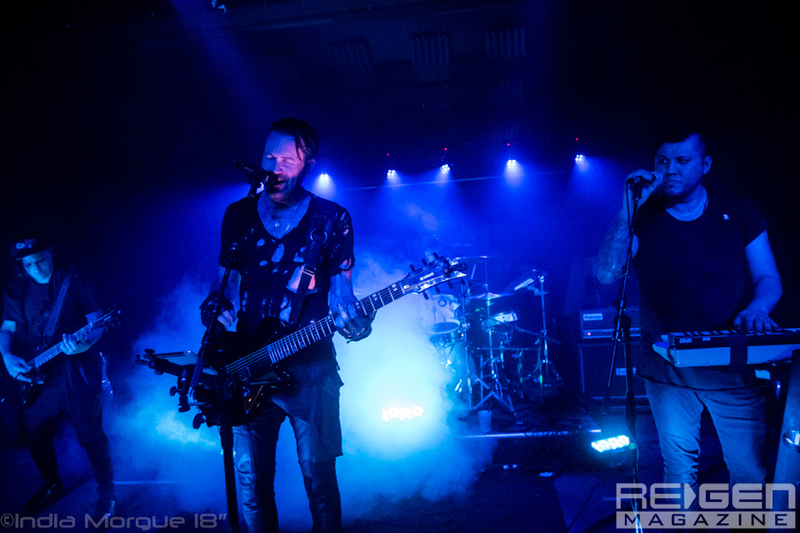 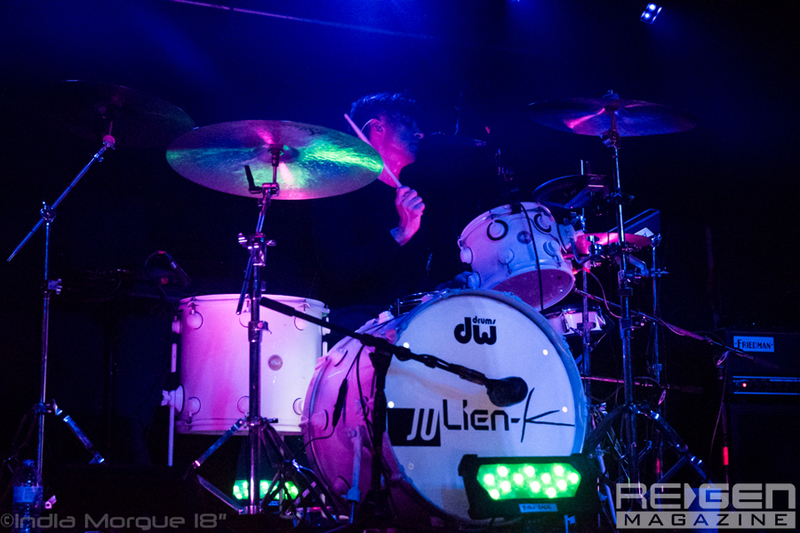 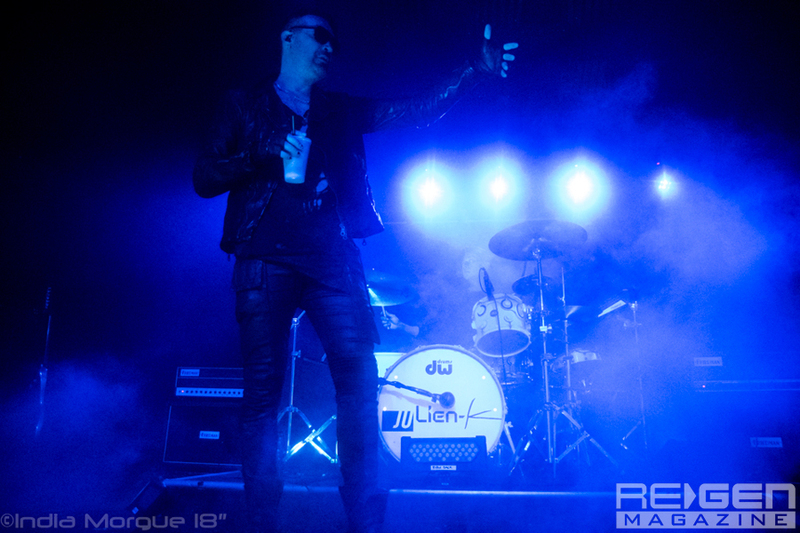 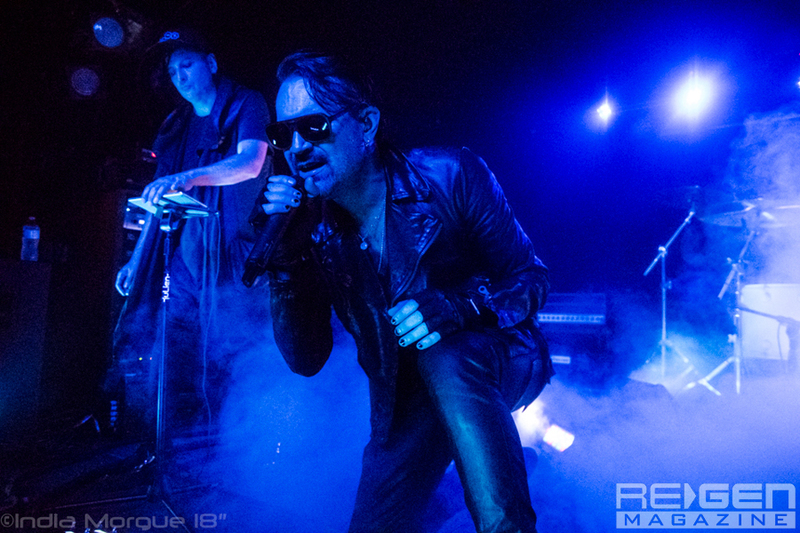 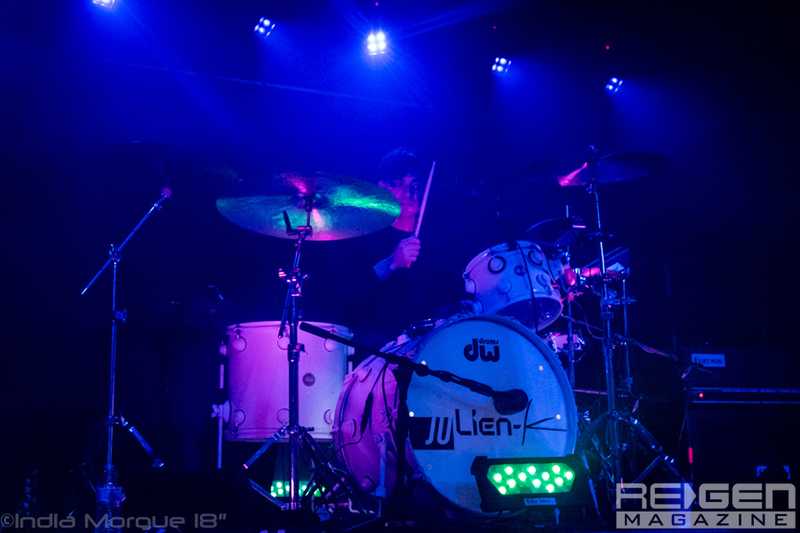 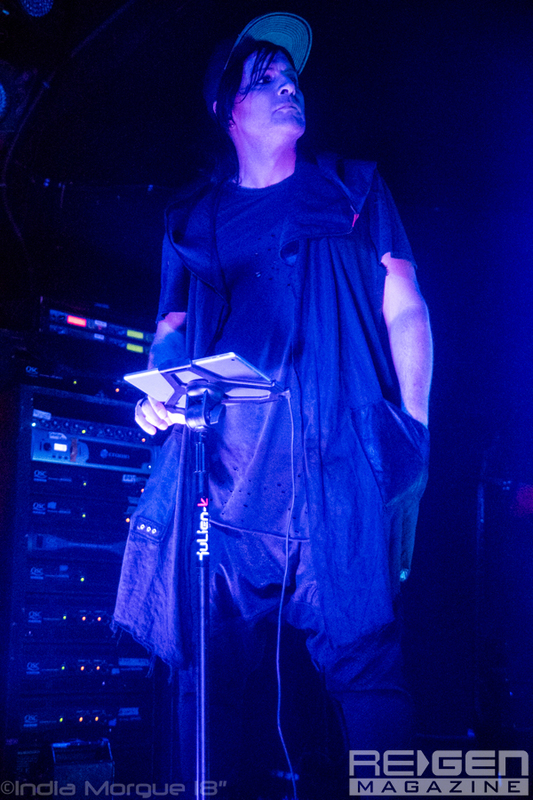 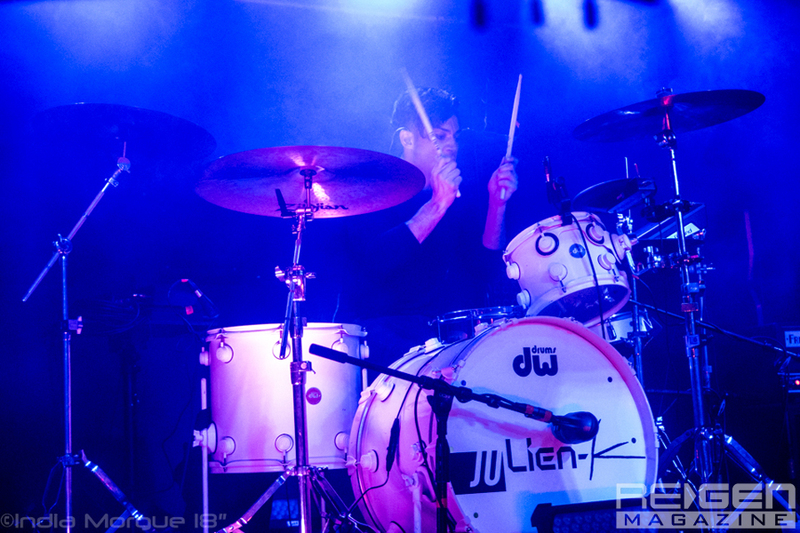 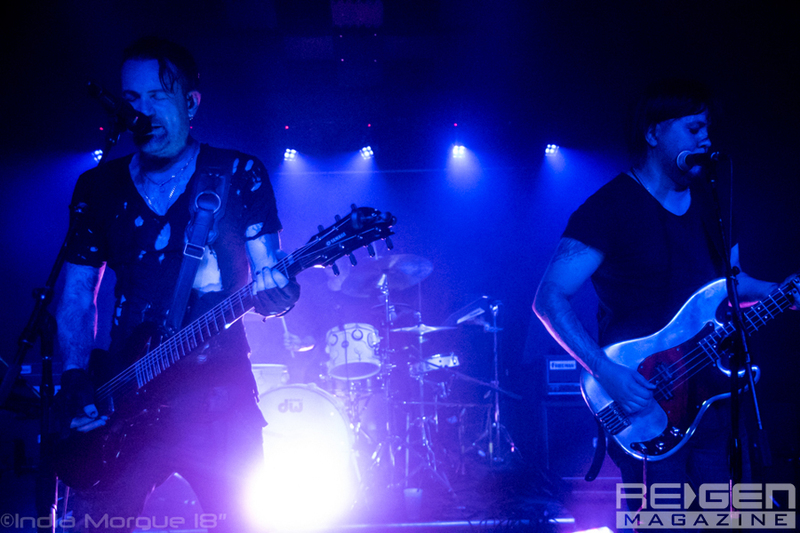 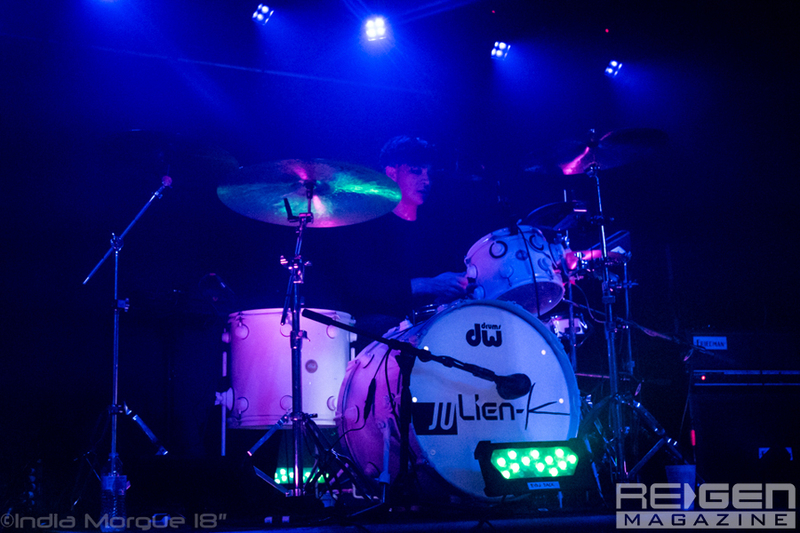 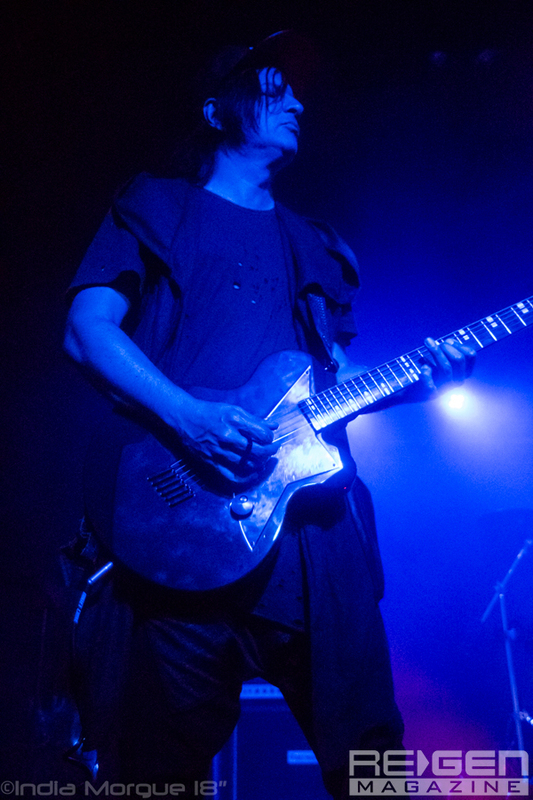 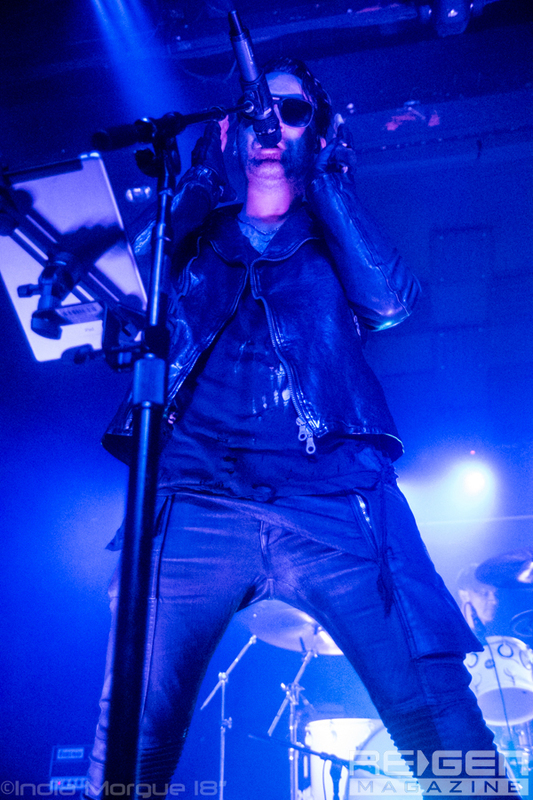 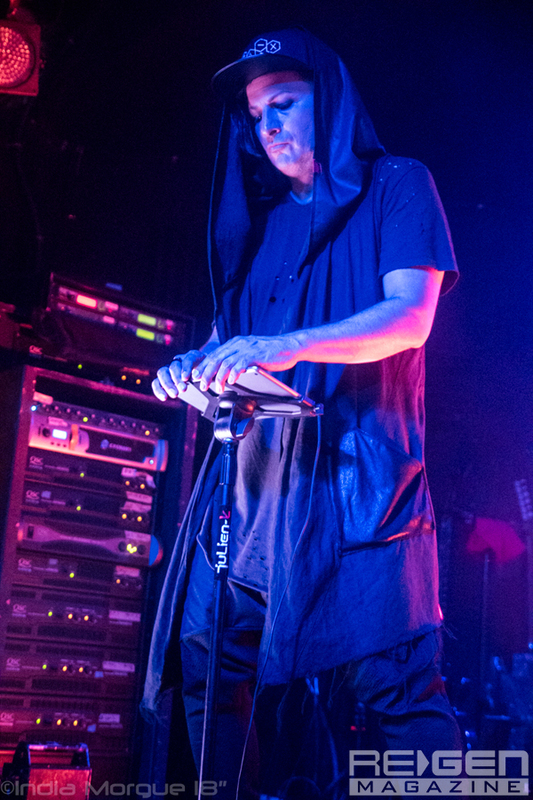 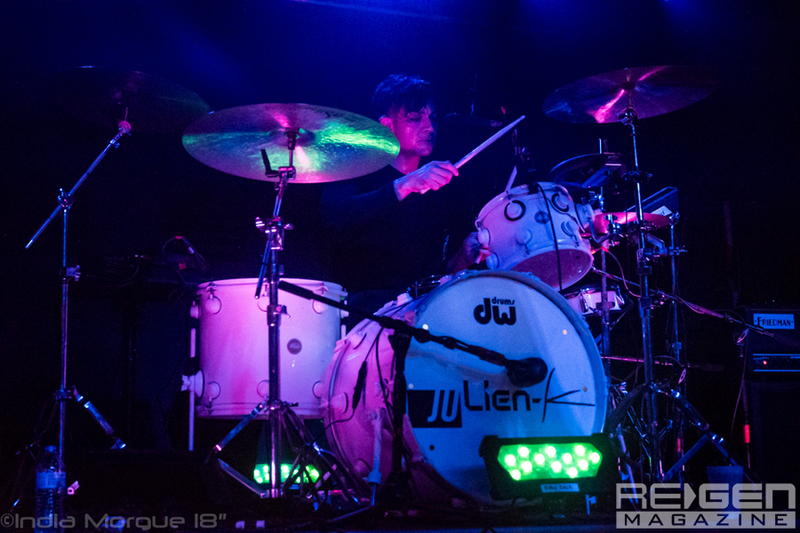 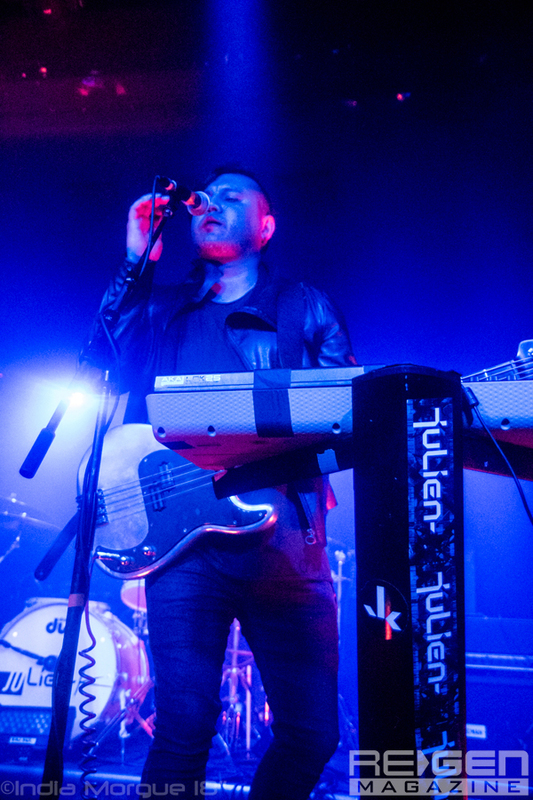 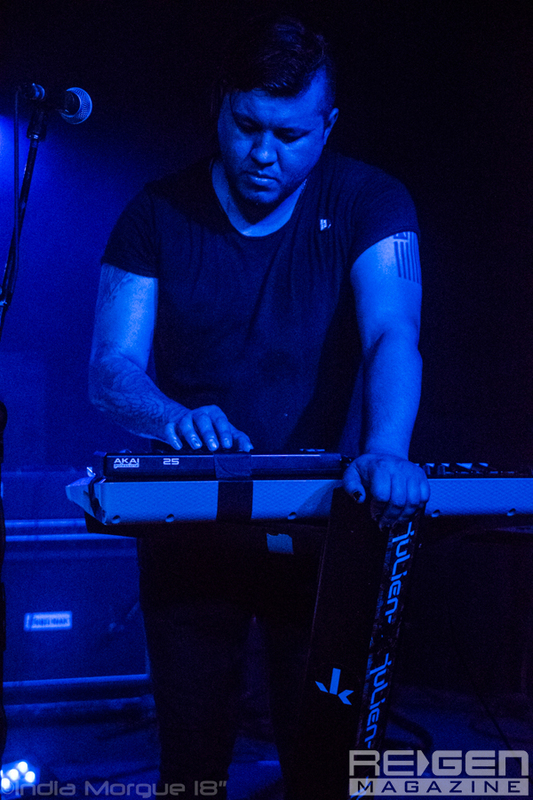 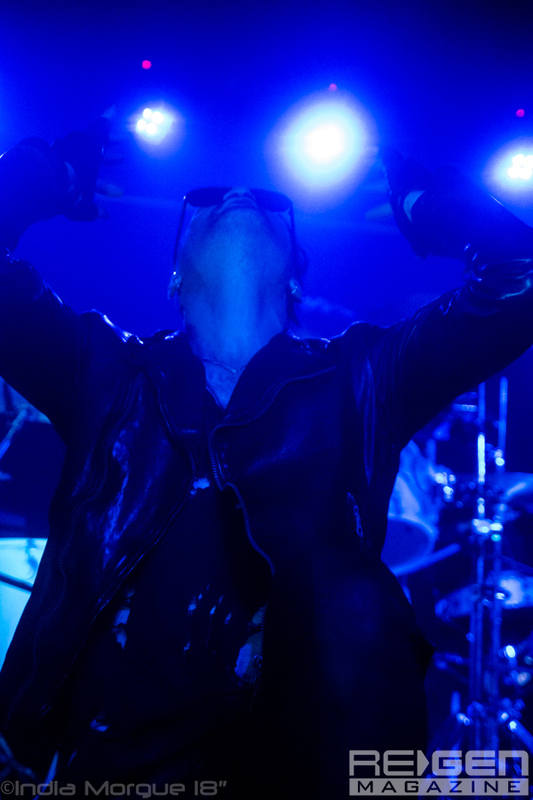 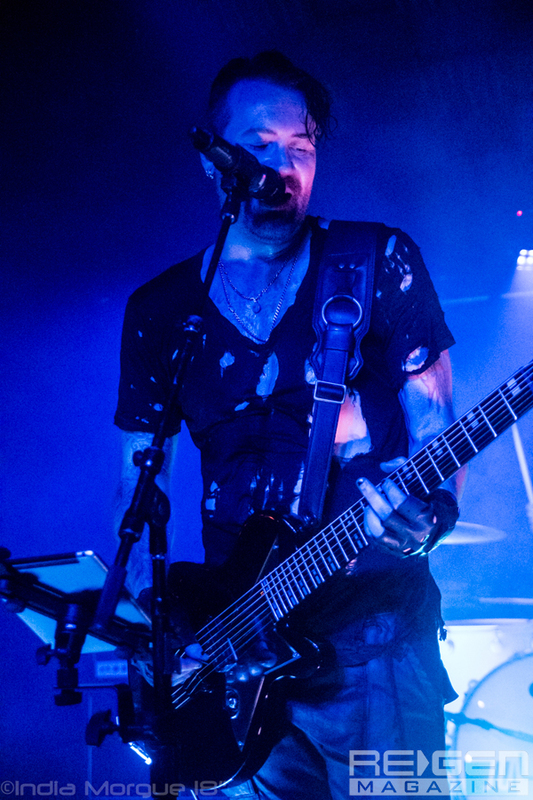 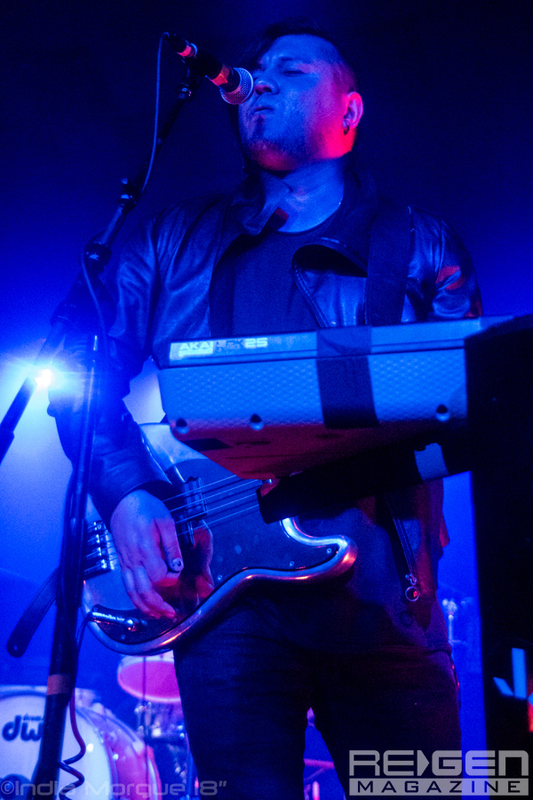 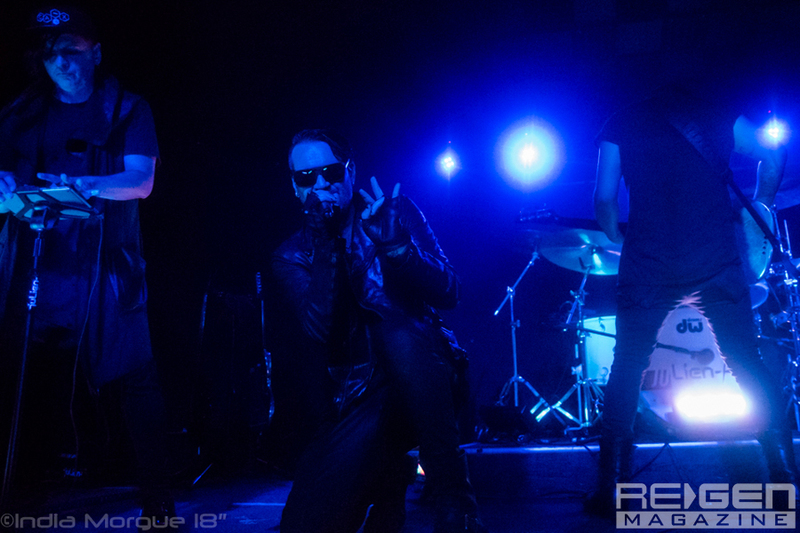 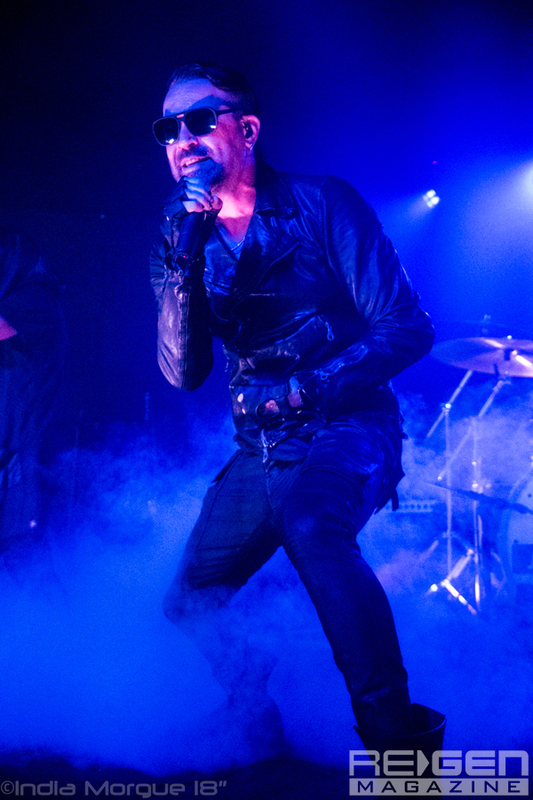 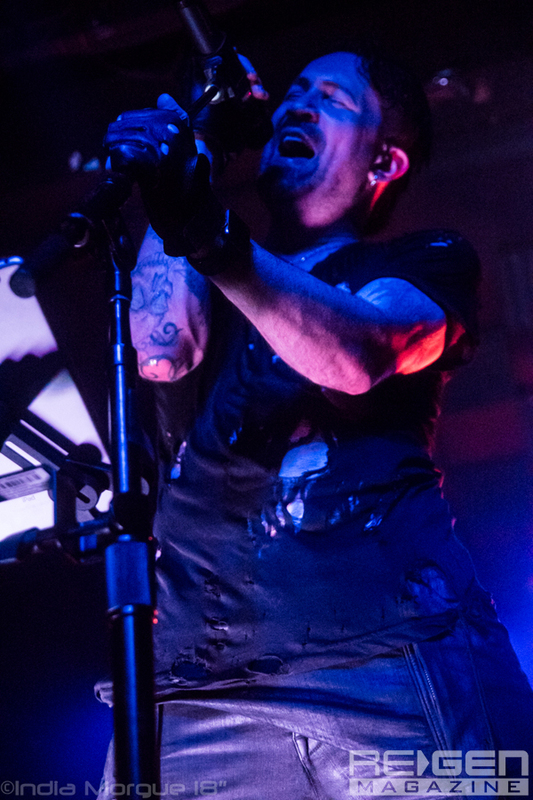 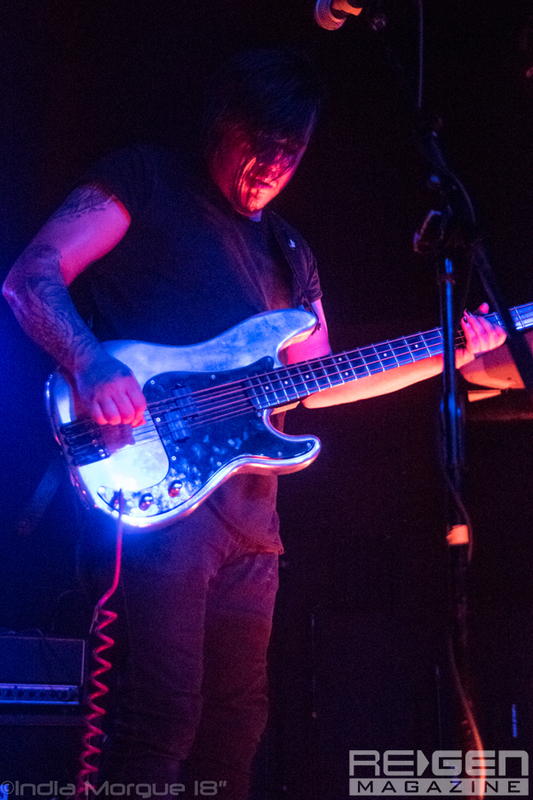 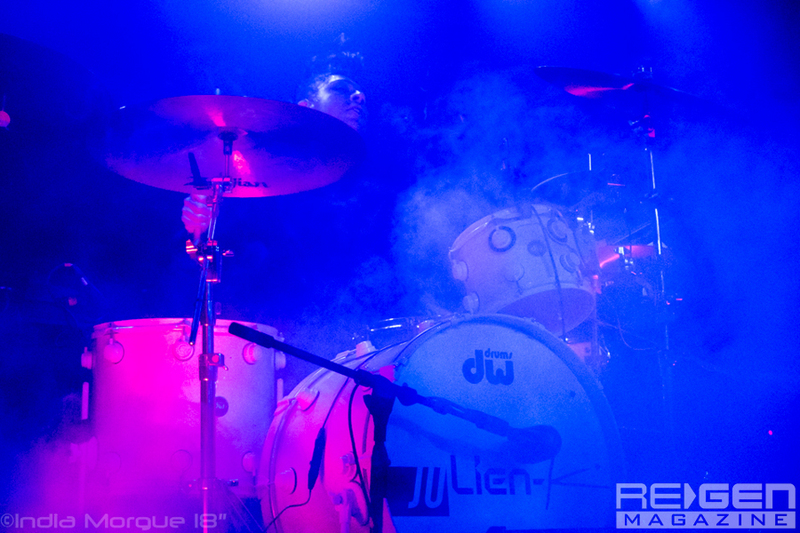 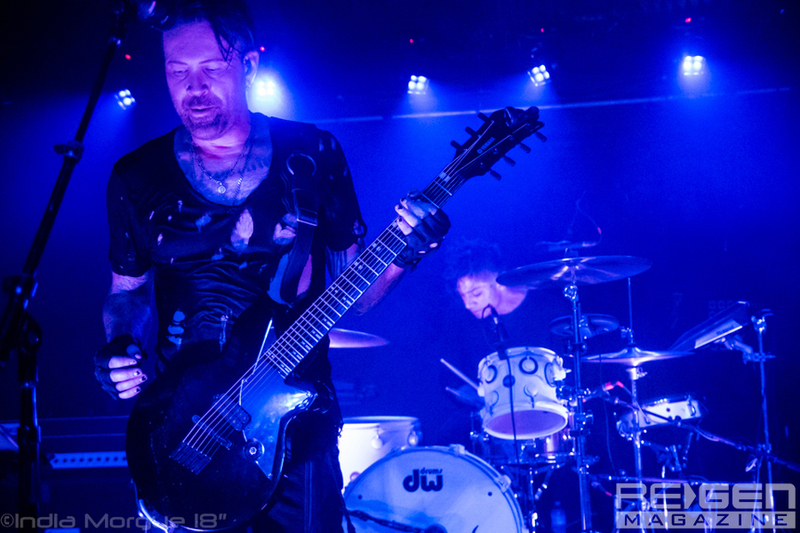 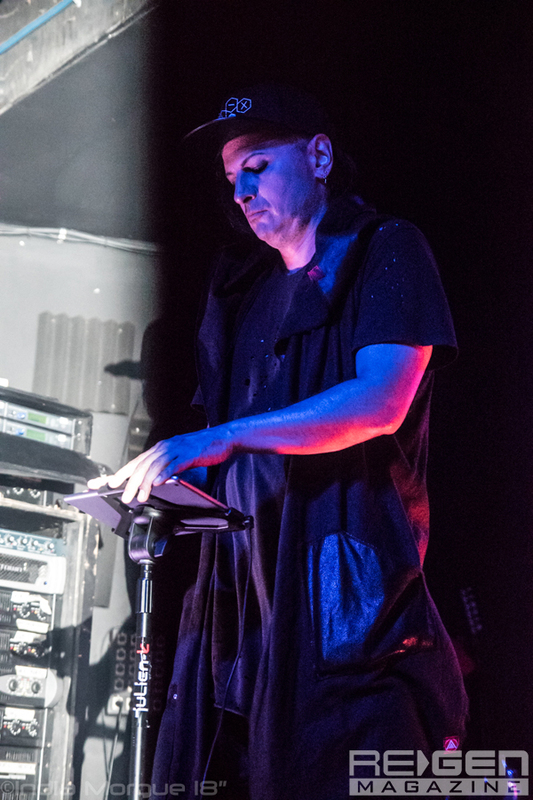 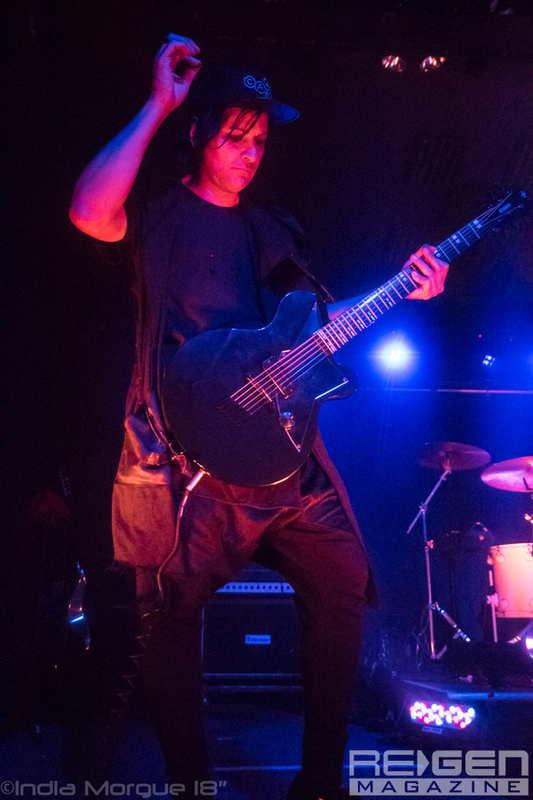 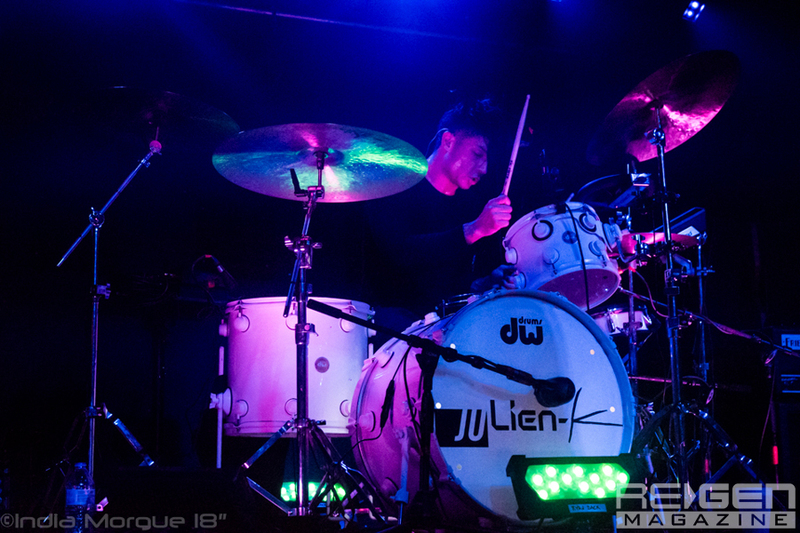 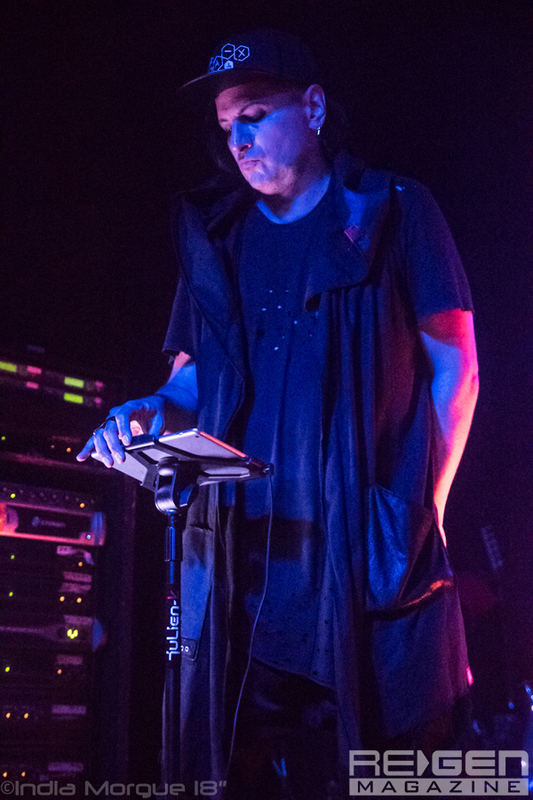 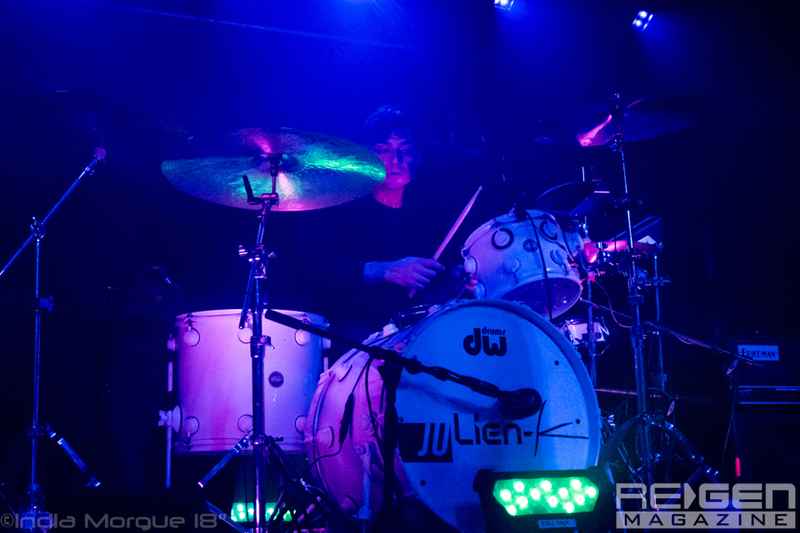 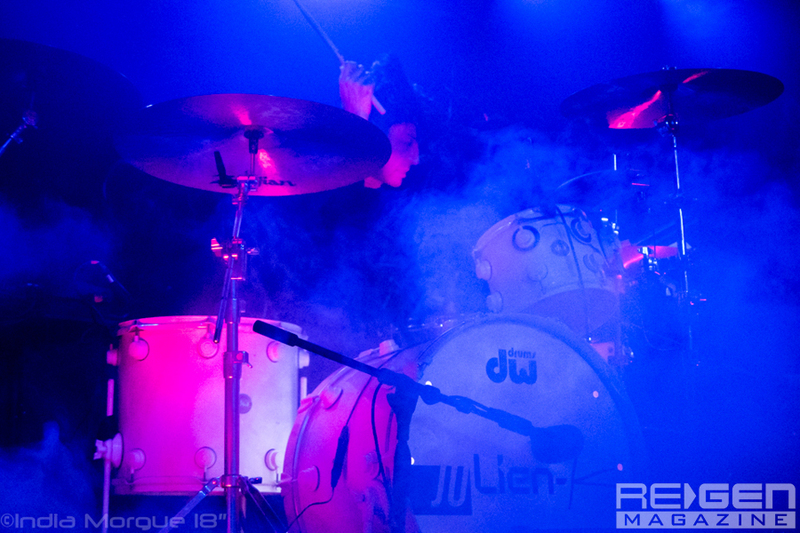 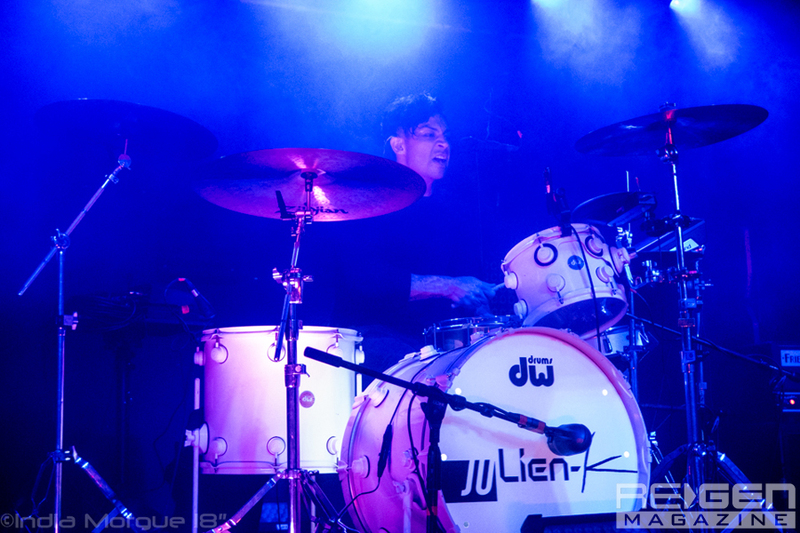 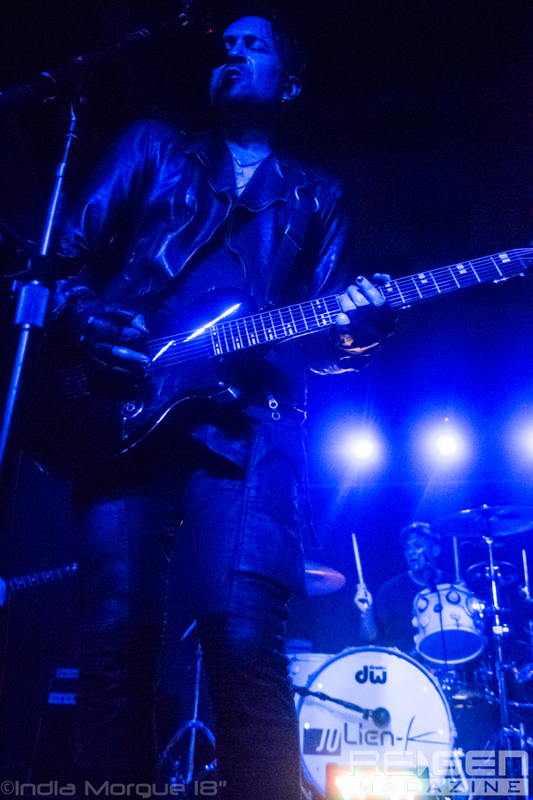 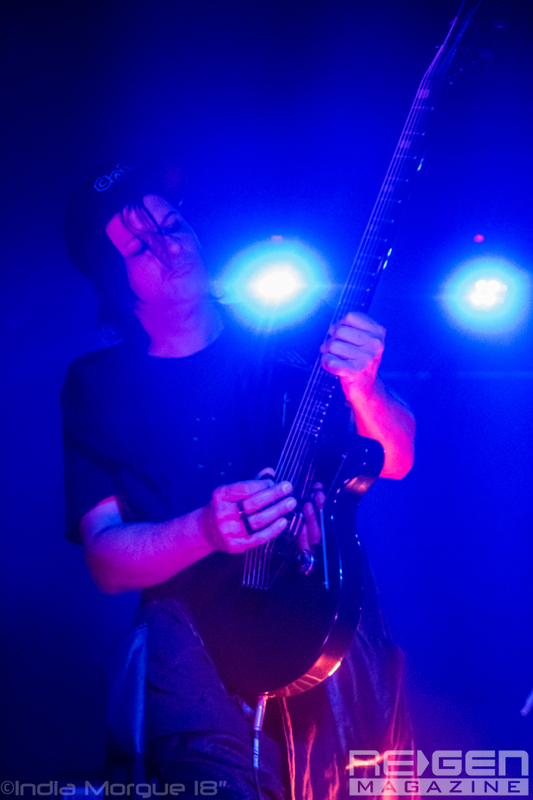 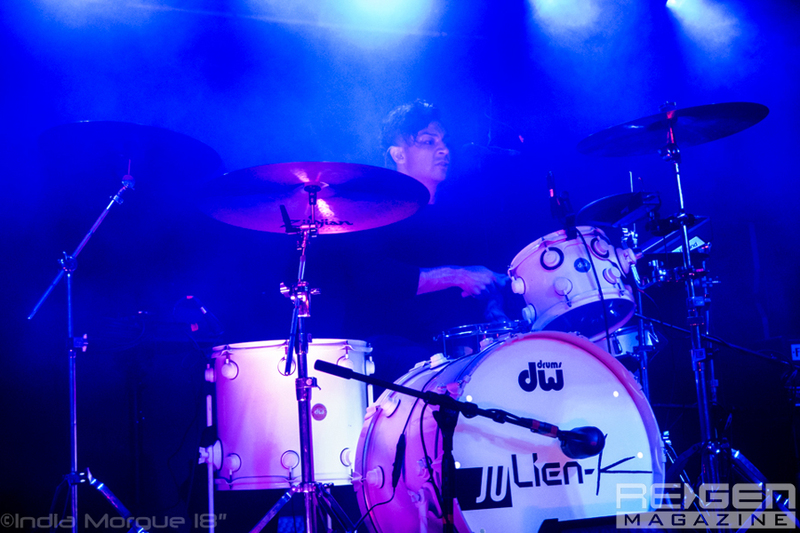 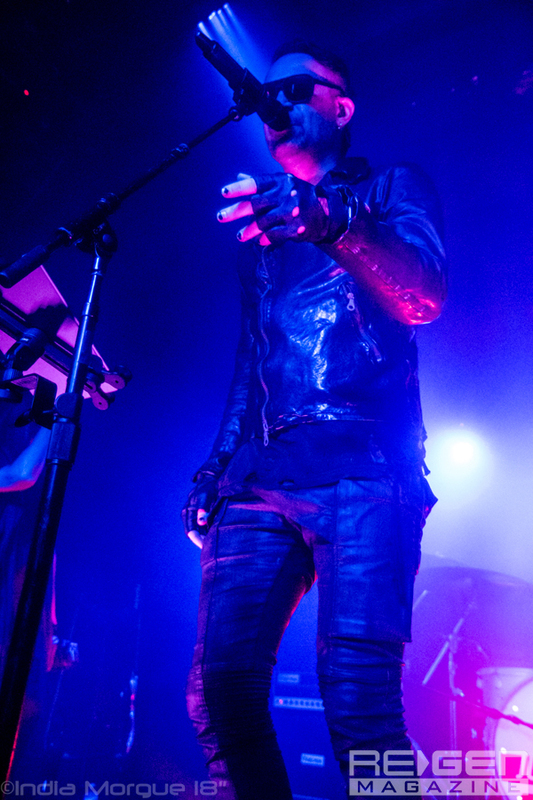 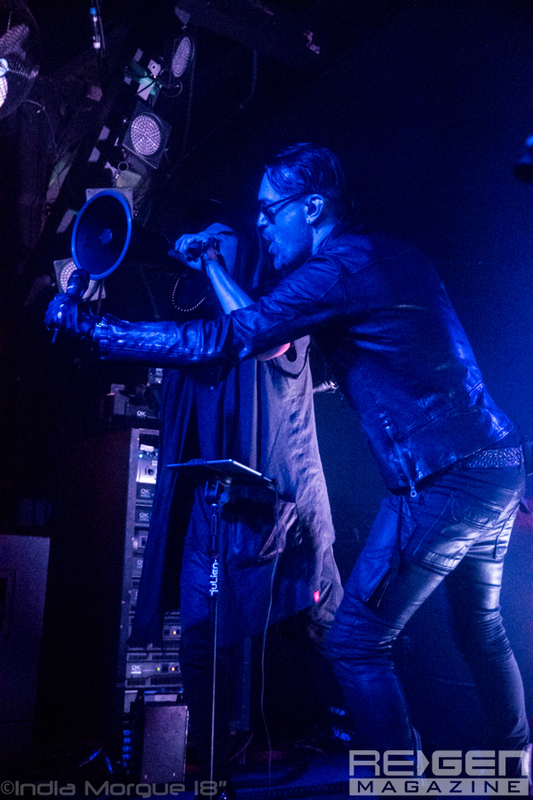 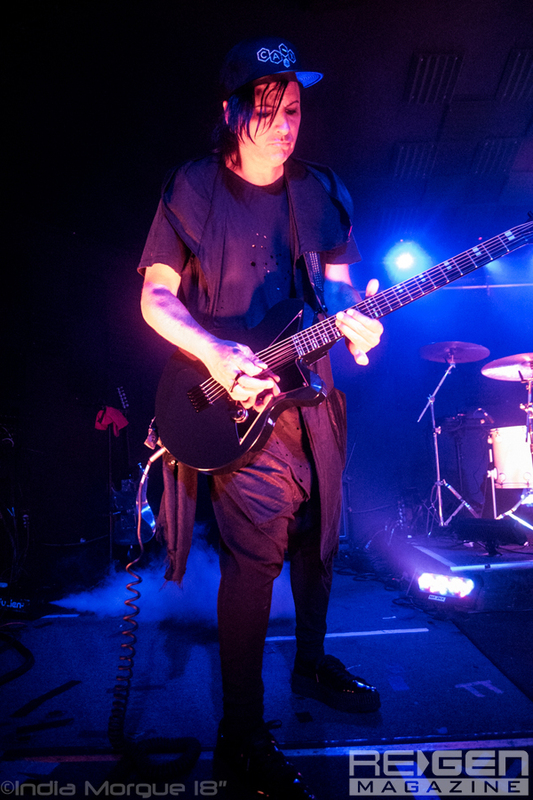 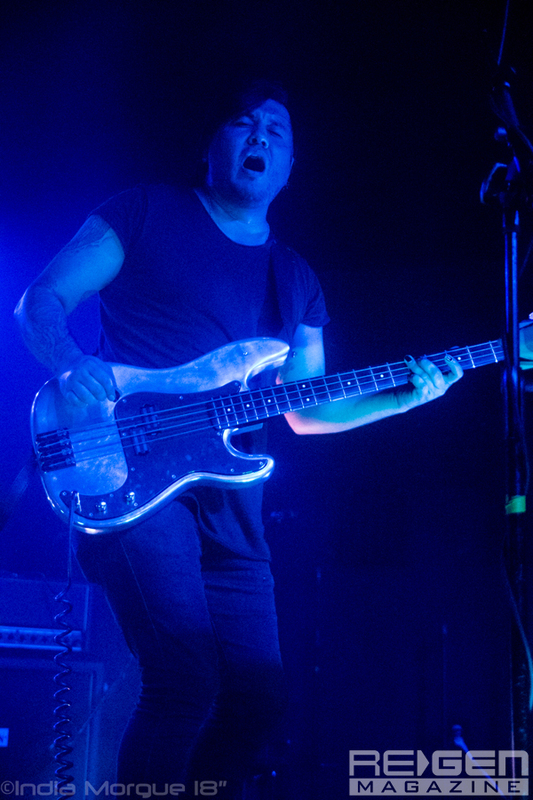 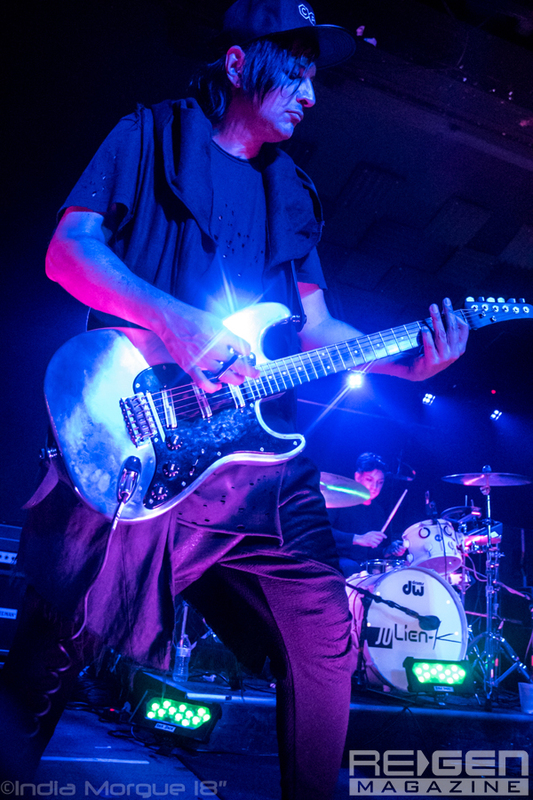 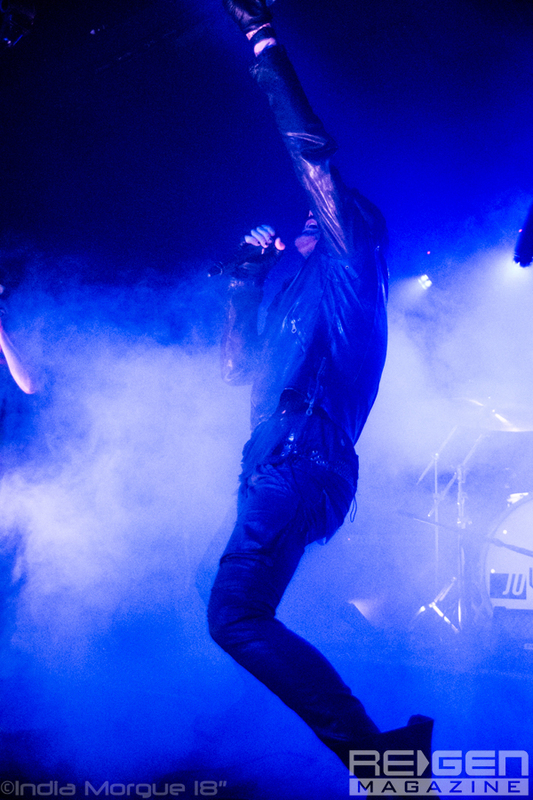 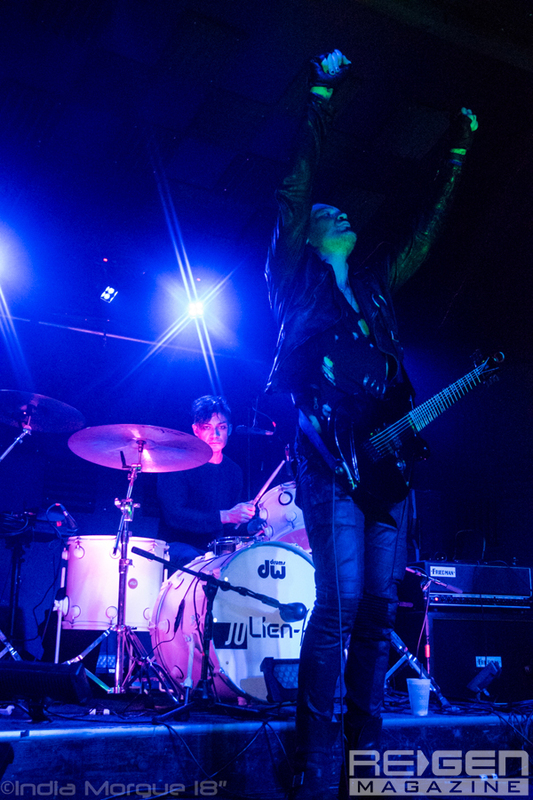 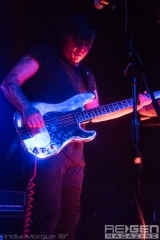 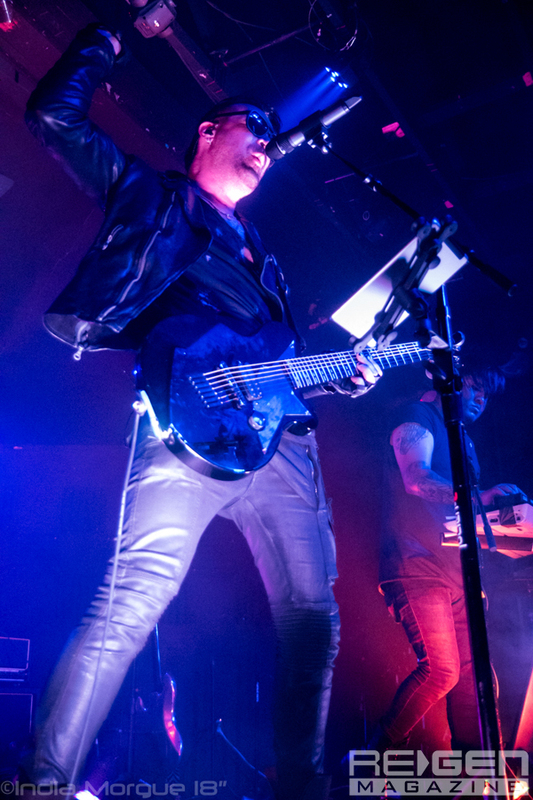 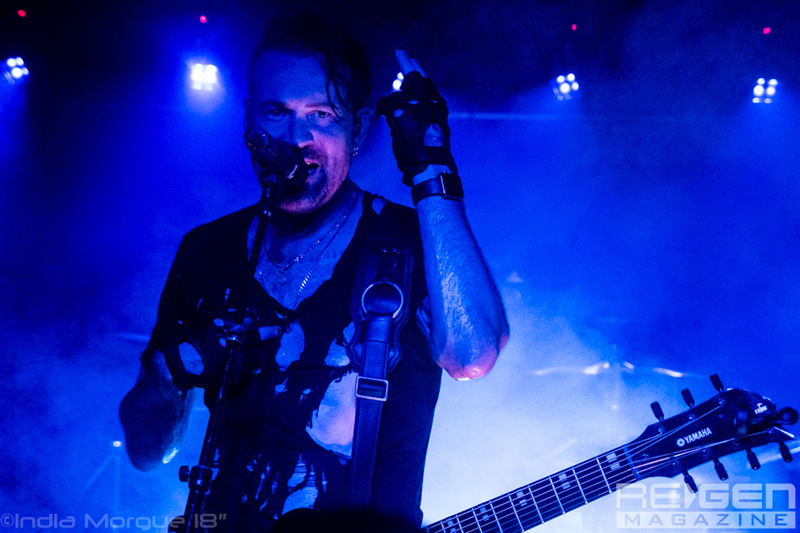 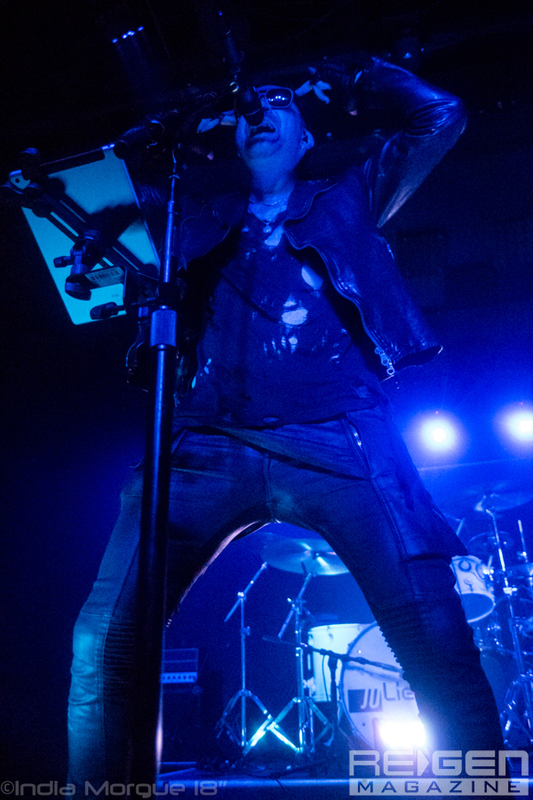 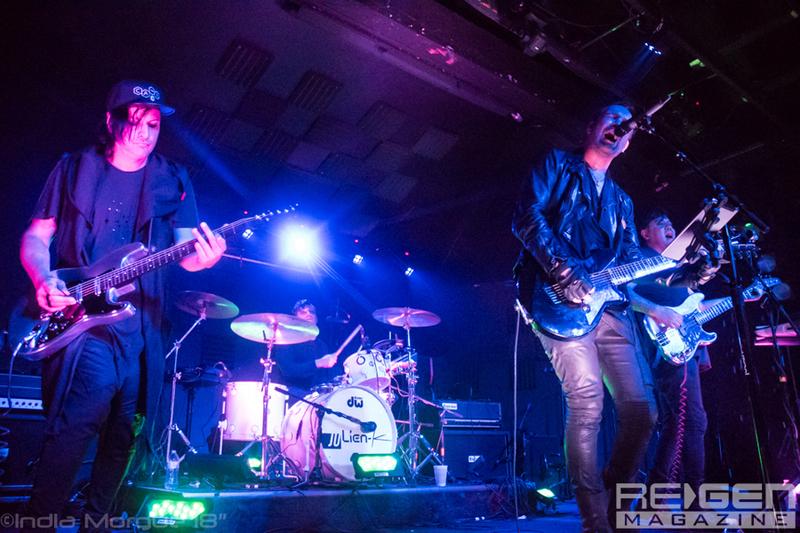 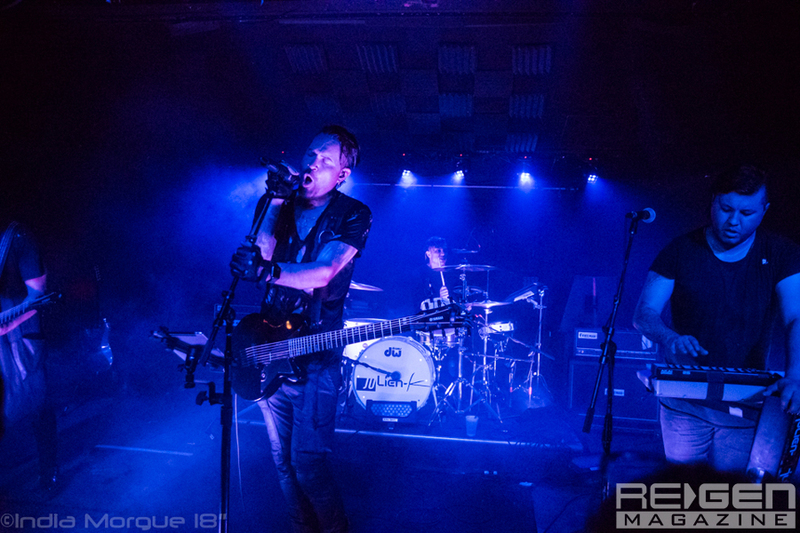 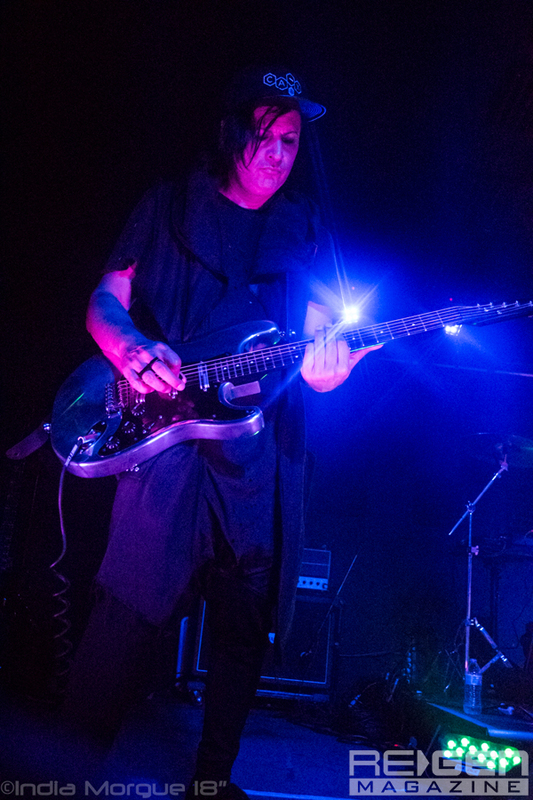 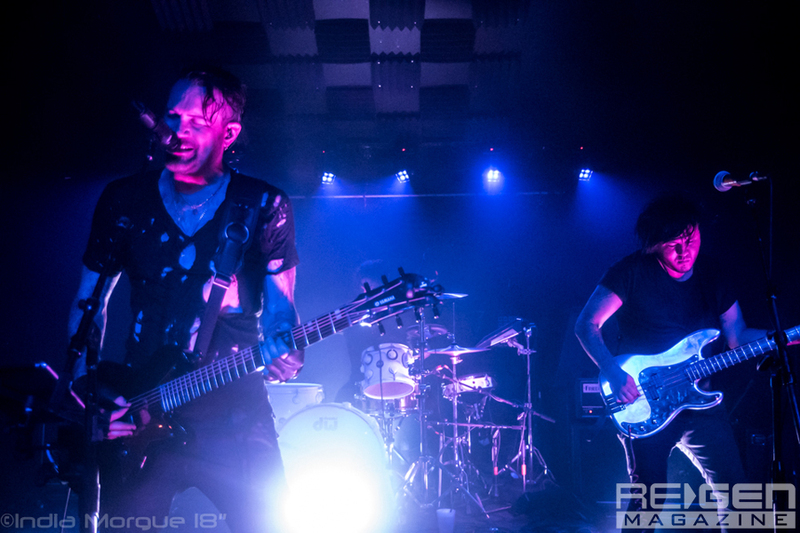 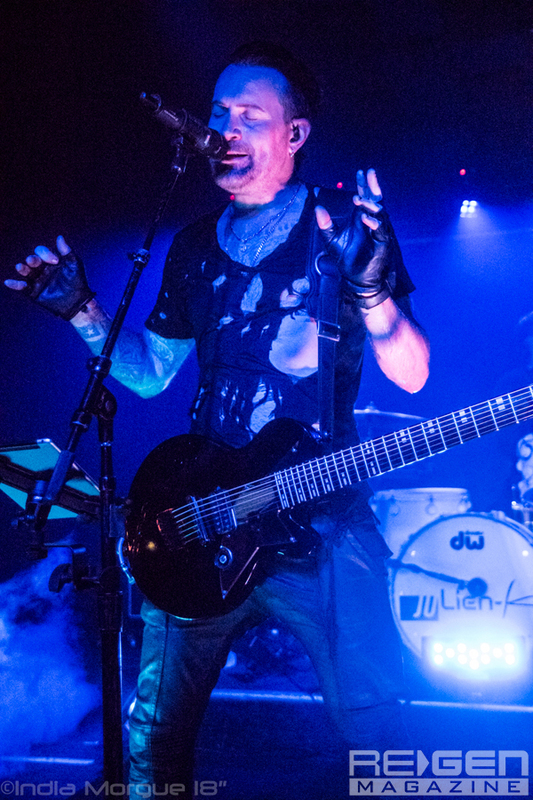 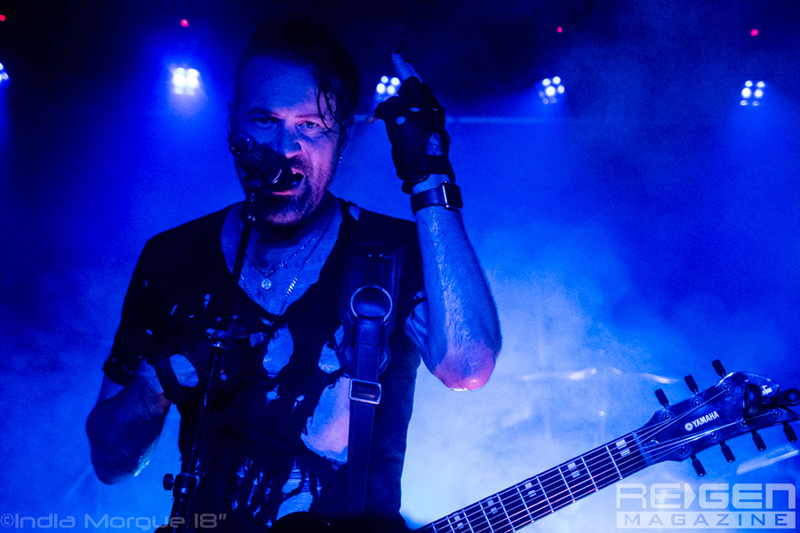 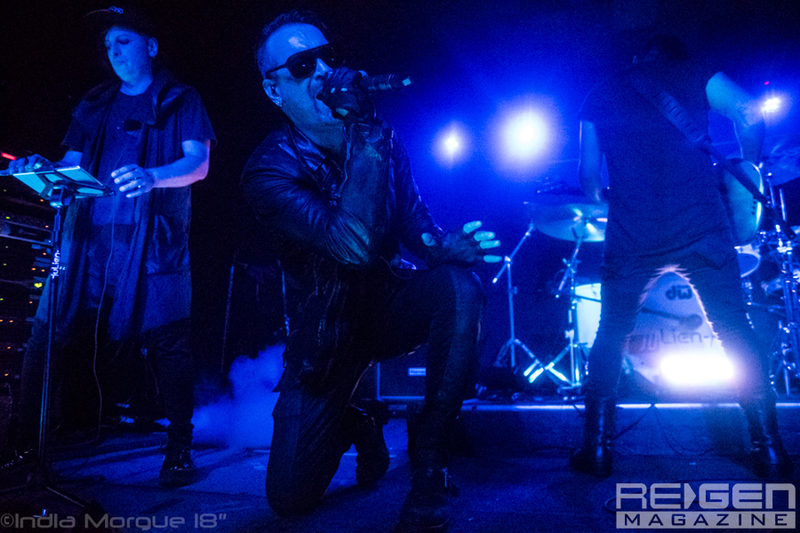 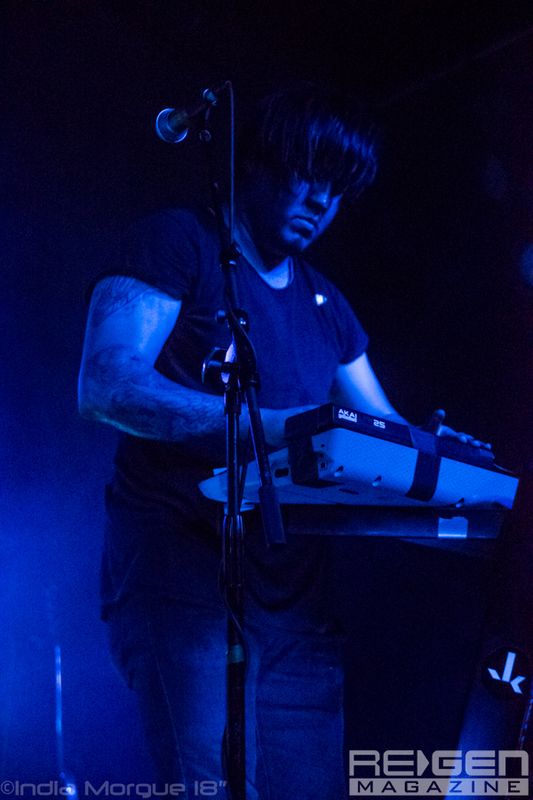 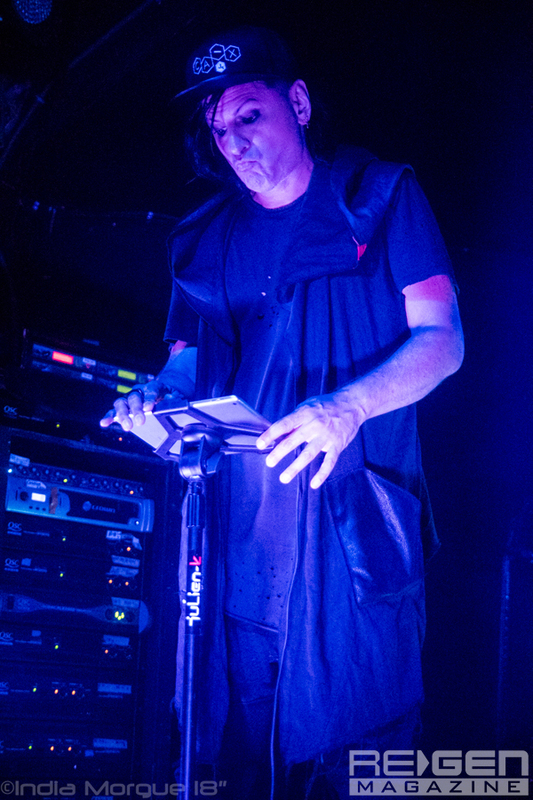 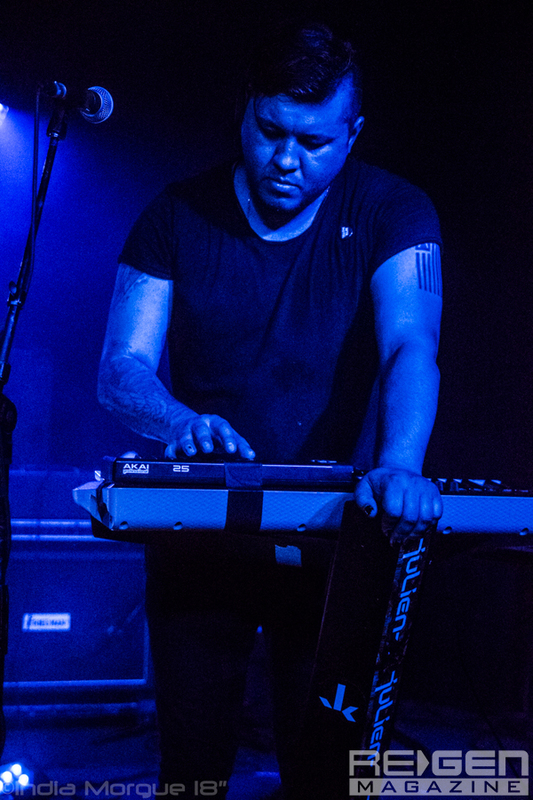 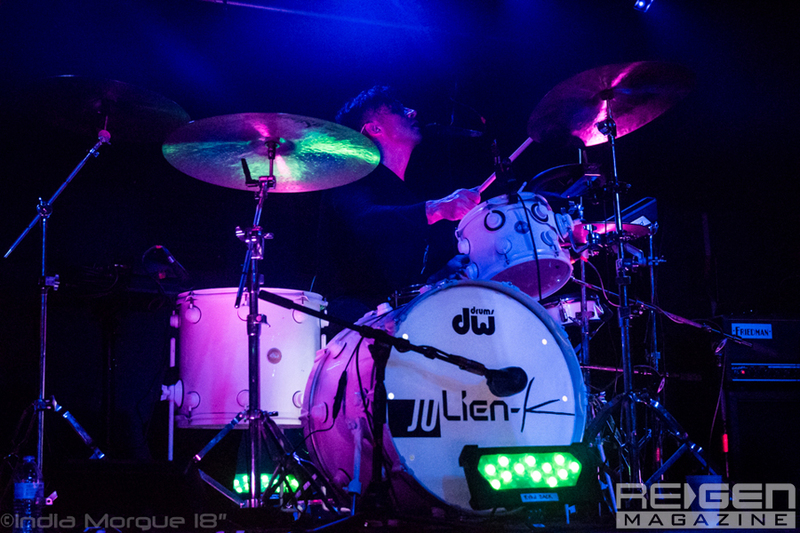 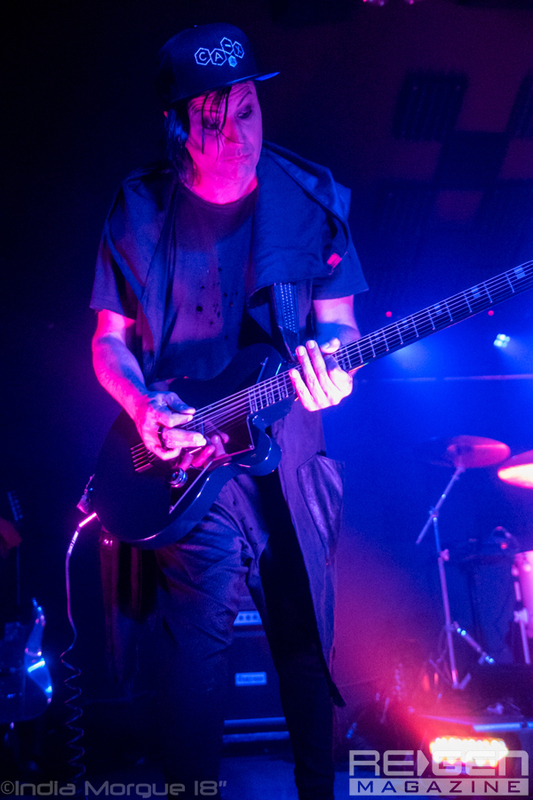 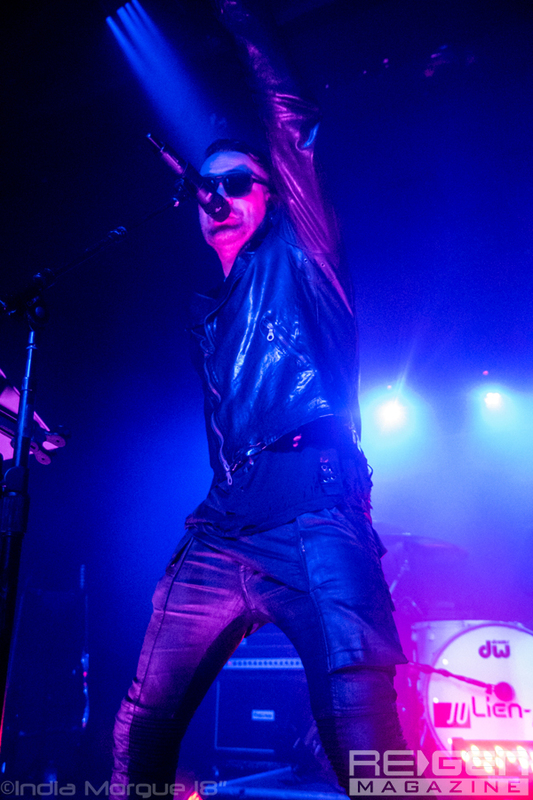 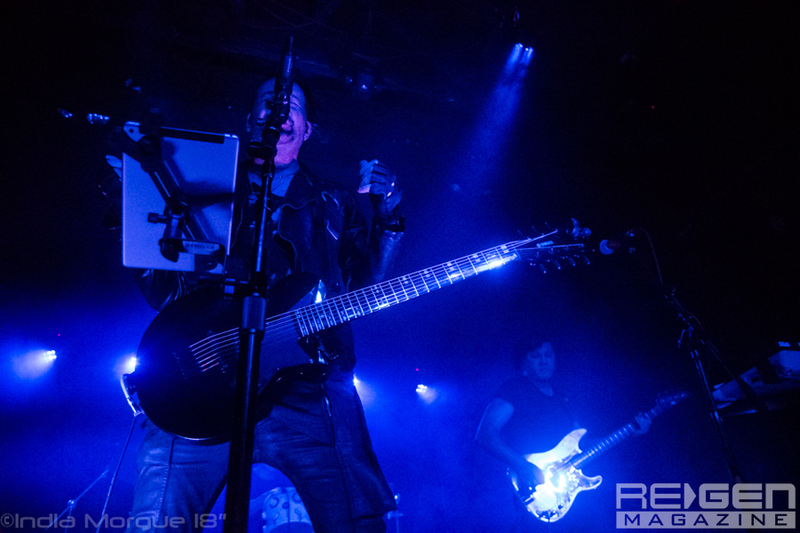 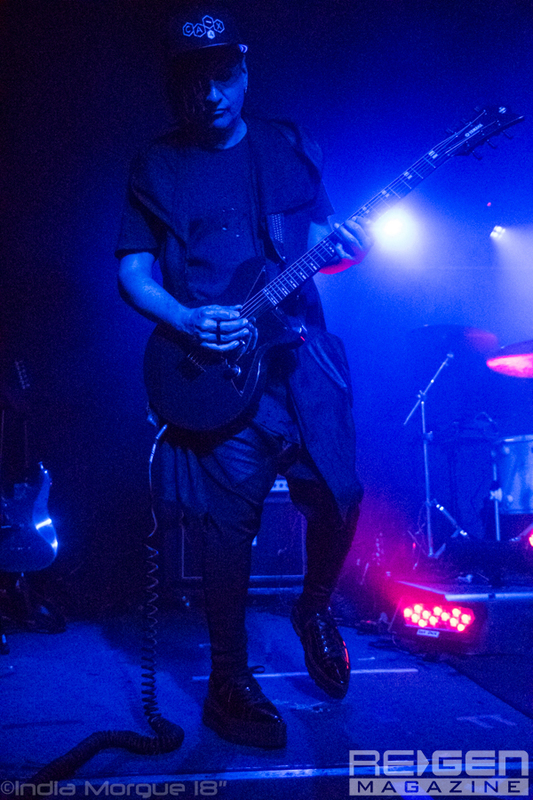 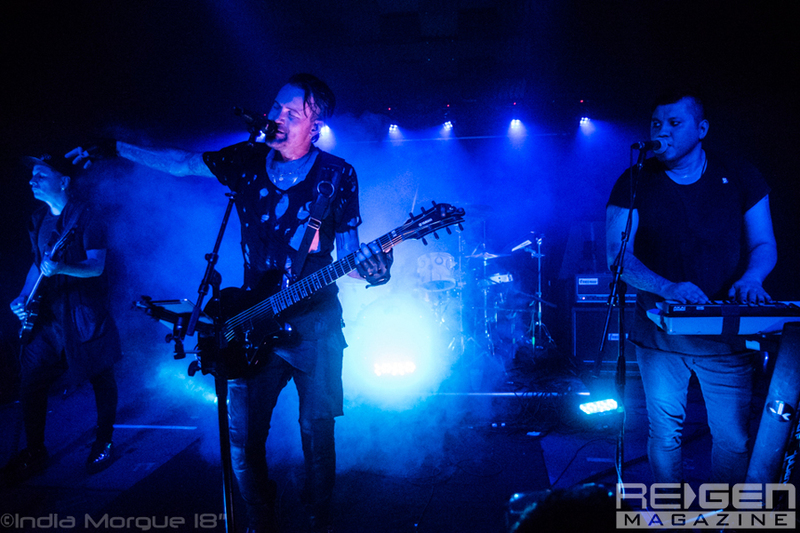 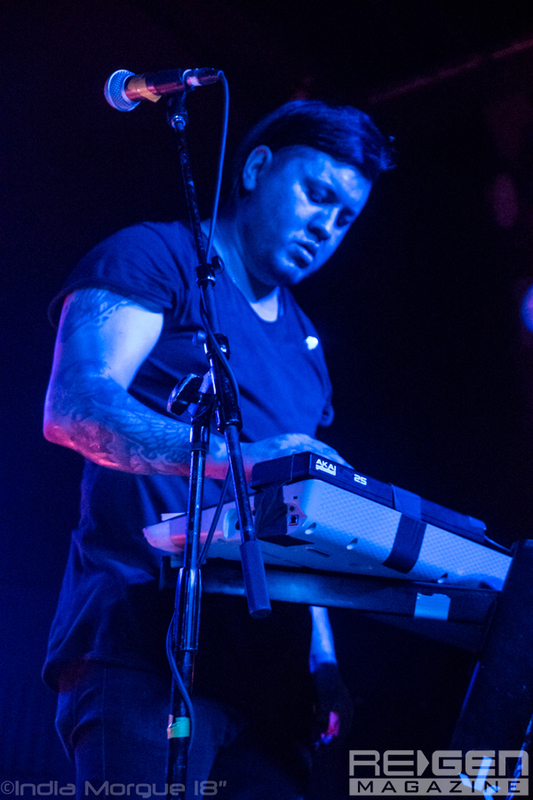 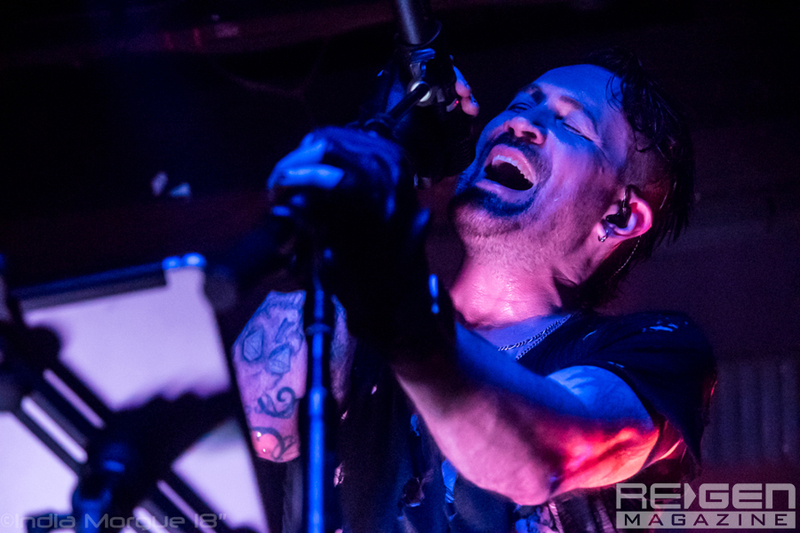 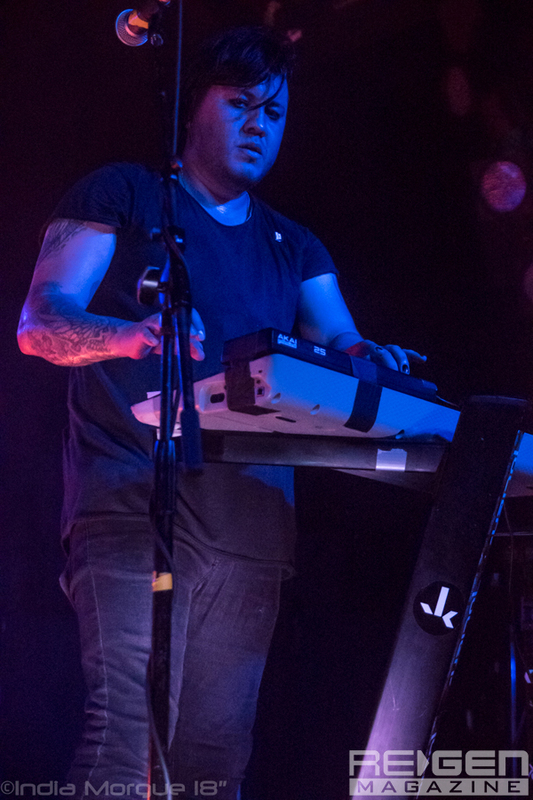 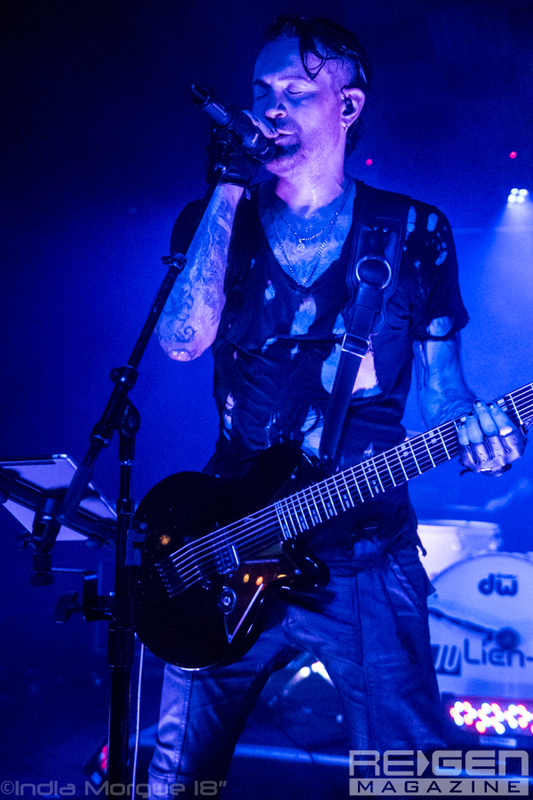 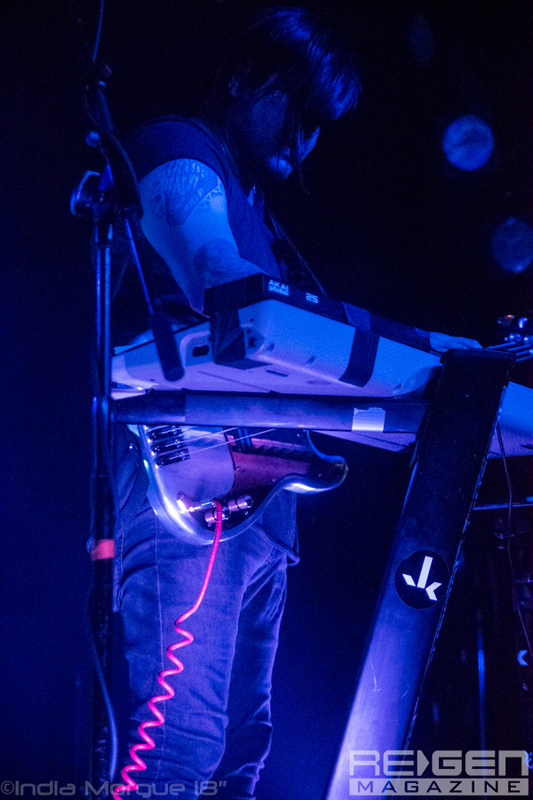 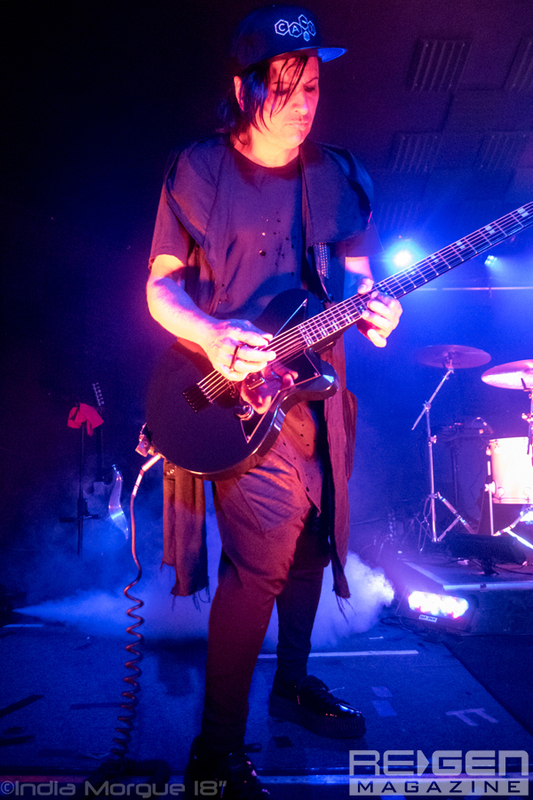 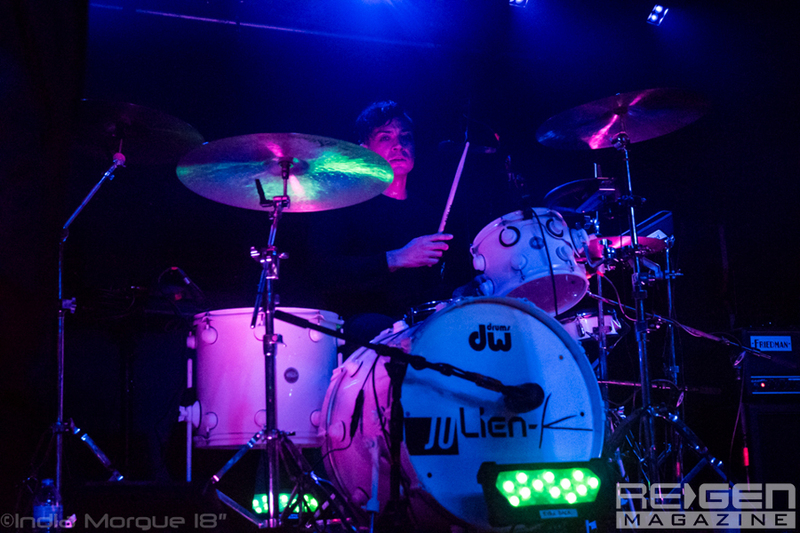 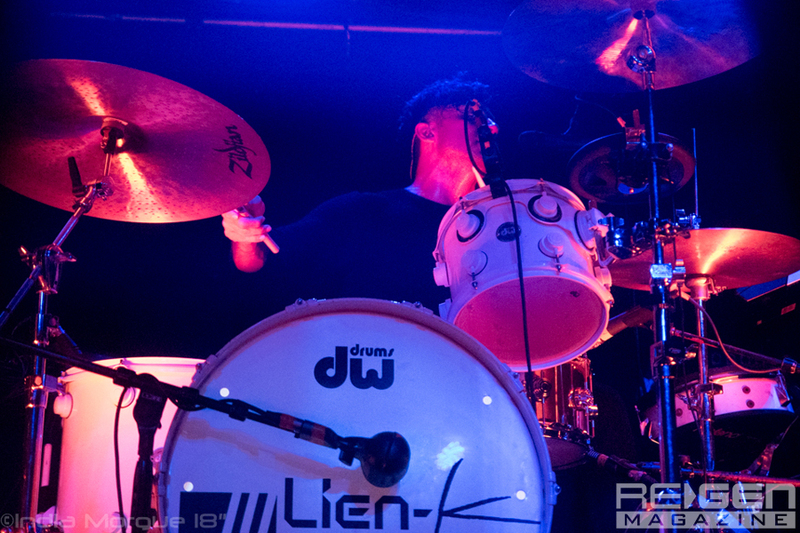 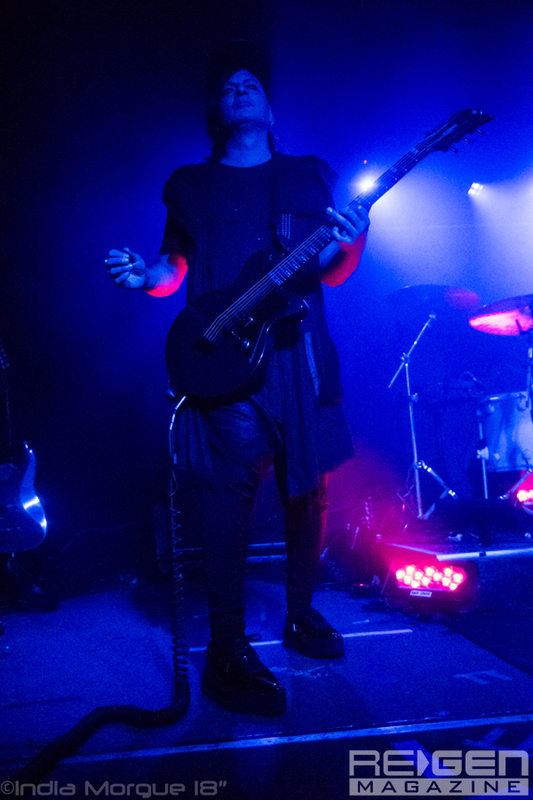 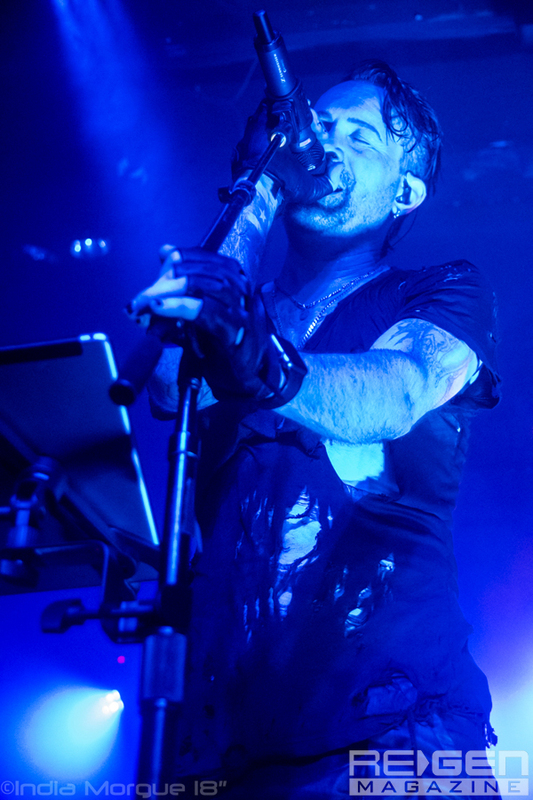 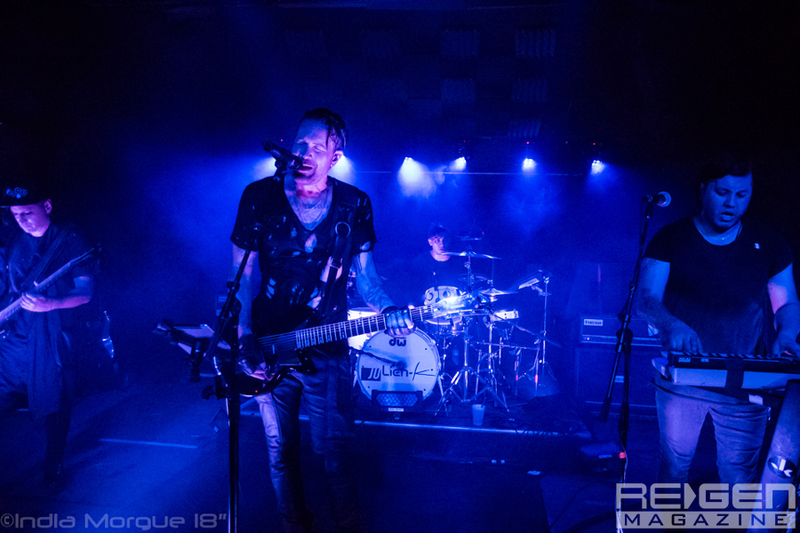 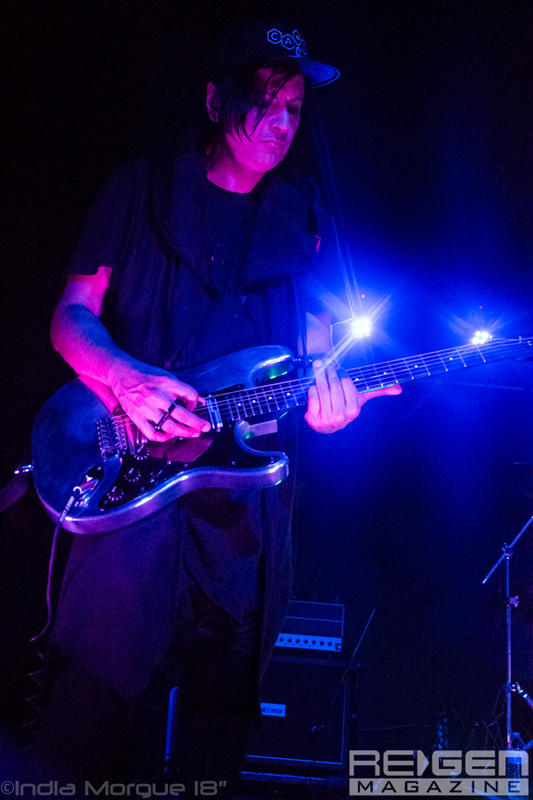 In the summer of 2018, with several dates as the opening act for the Revolution 3 Tour, Julien-K took to the road, appearing in Halethorpe, MD’s Fishhead Cantina on a hot and sticky August evening. 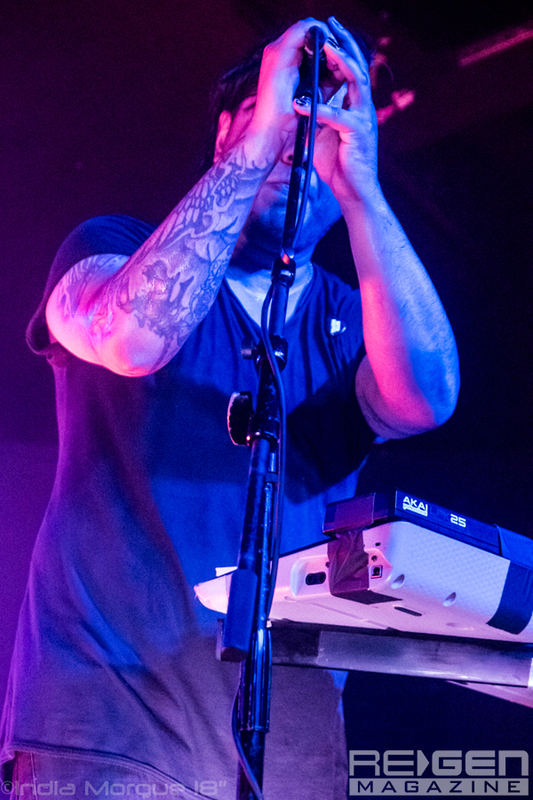 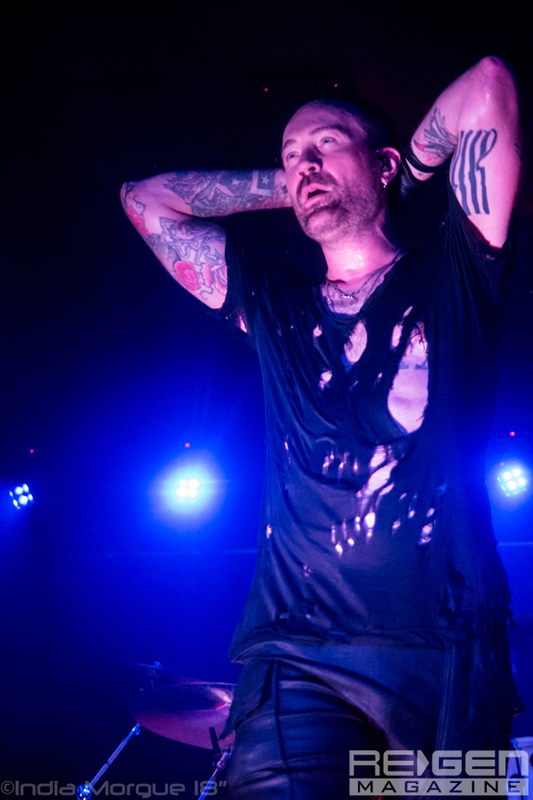 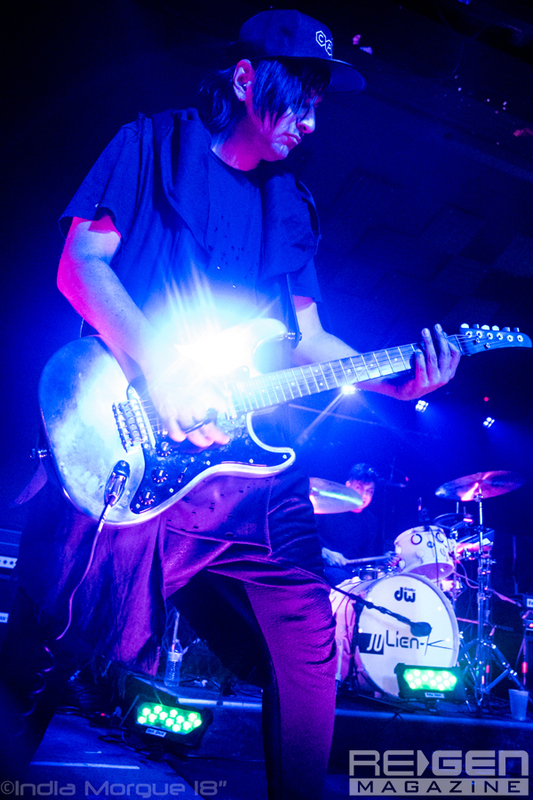 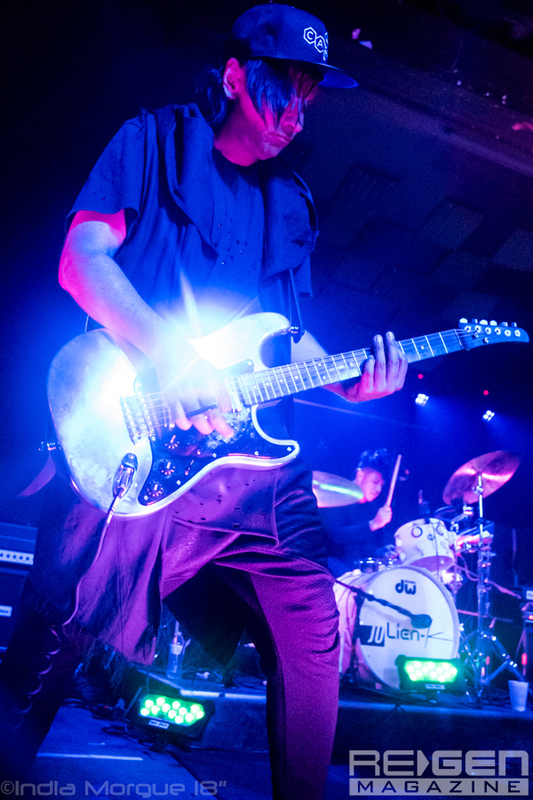 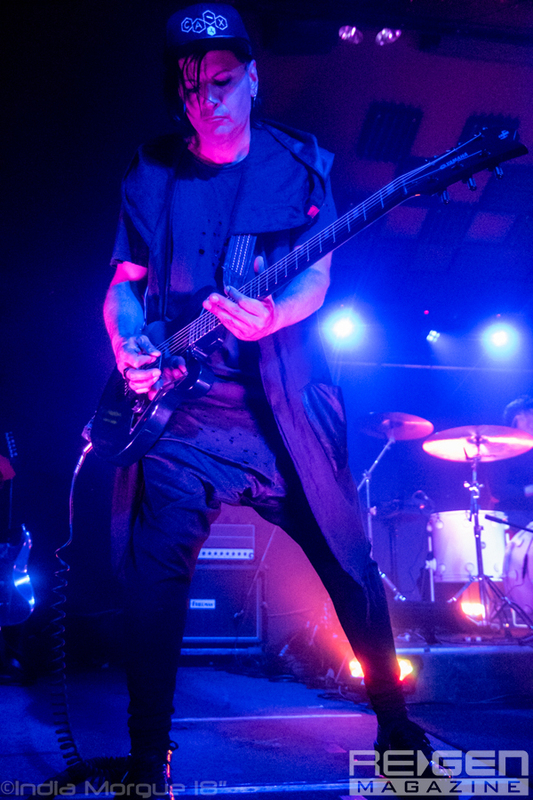 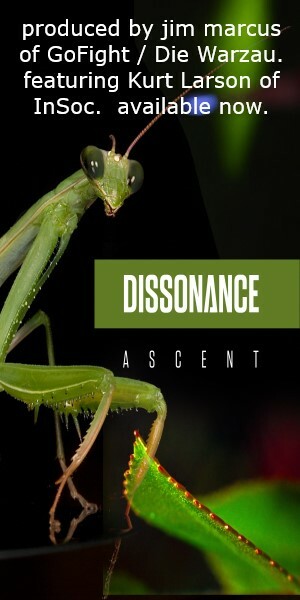 This writer has often referred to front man and guitarist Ryan Shuck as a great singer, and while his recorded output is testament enough to this, it is in the live environment that he truly shines, never allowing any obstacle to prevent him from performing at 110%. 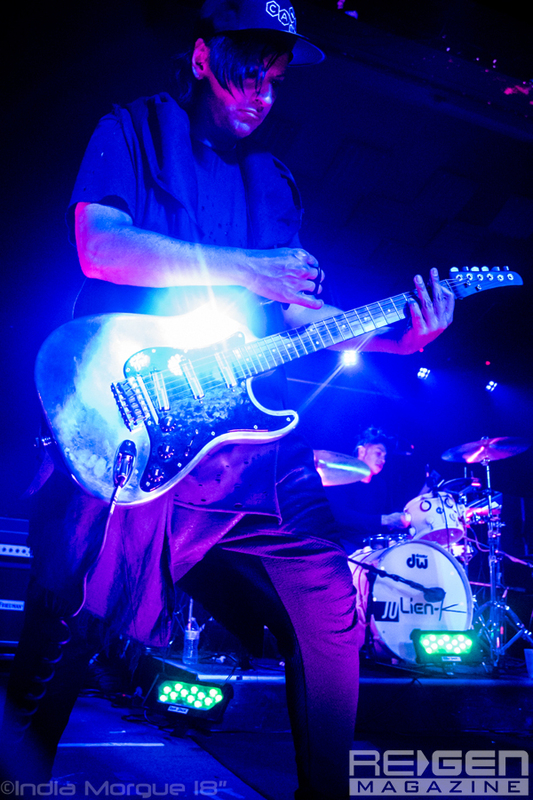 On top of that, he and Amir Derakh complement each other’s guitar playing with the sort of interplay that can only come from years of partnership and artistic synergy – Shuck’s gyrating, sensual movements belying the gritty power of his riffs, while Derakh’s balance of force and texture shimmers as brilliantly as the stage lights reflective off his silver-plated axe. 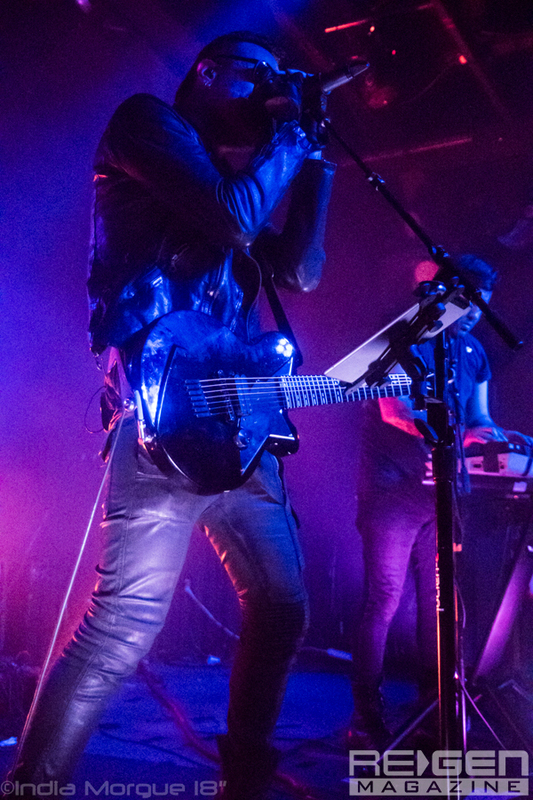 Although the band’s minimalist stage setup could easily be attributed to budgetary concerns, there is a certain logistical efficiency to it as well; no flashy video projections or stage props, no flamboyant costumes, or other visual distractions – just a band with a slick fashion sense and a tight-knit production sense. 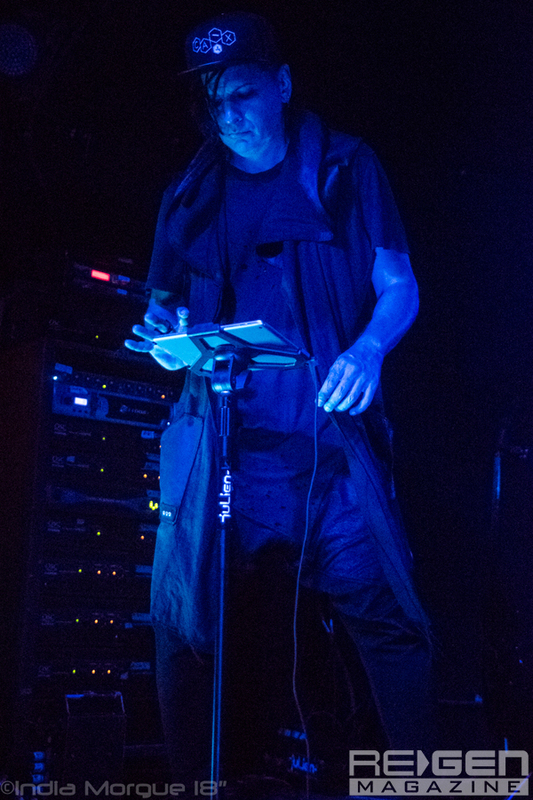 Julien-K’s live show is admirable for its simplicity, with an absolutely palpable electricity shared between artist and audience. This fall, Julien-K will once again be on tour, sharing the bill on various dates of Jonathan Davis’s Black Labyrinth Tour, dates with The Birthday Massacre, and Ghostfeeder… if you can catch any of these shows, you are highly encouraged to do so for Julien-K puts on a show not to be missed.